Last December, my family and myself went back to Korea. 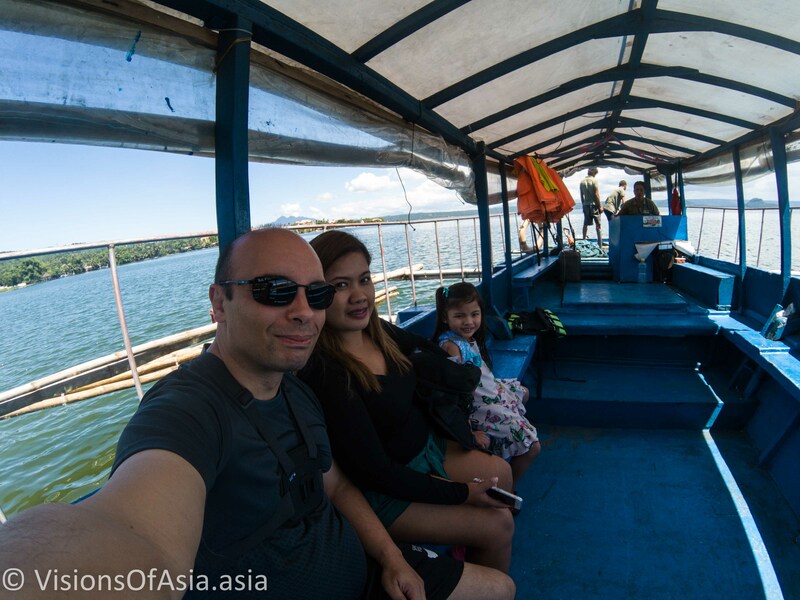 For me, it was a return to the “Calm Morning” land, for my family, it was their first trip. 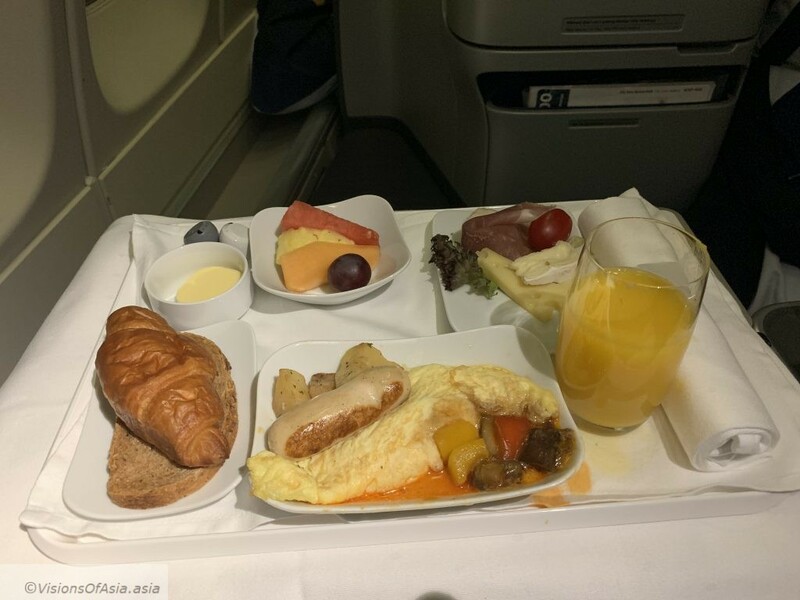 If you remember, my first trip to Korea took place in early December 2017. 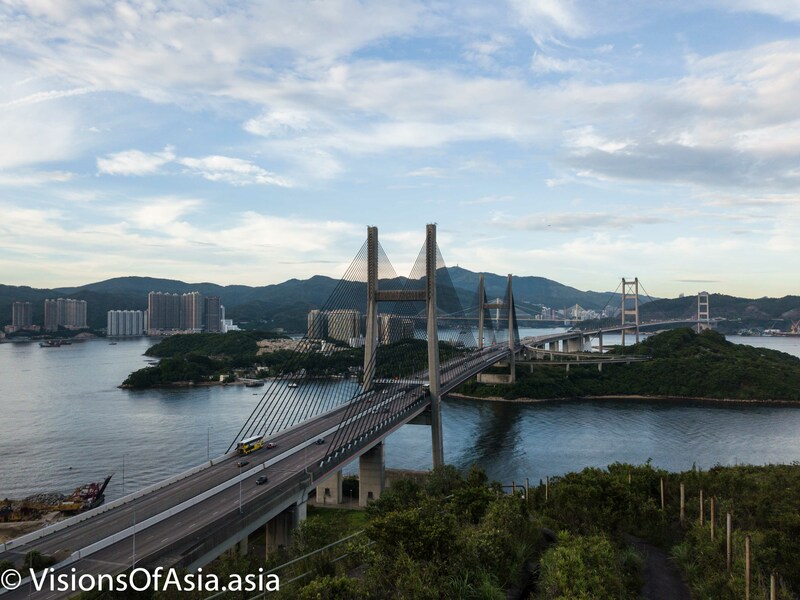 This was the occasion of discovering some amazing places such as Busan and the wide variety of places in Seoul. 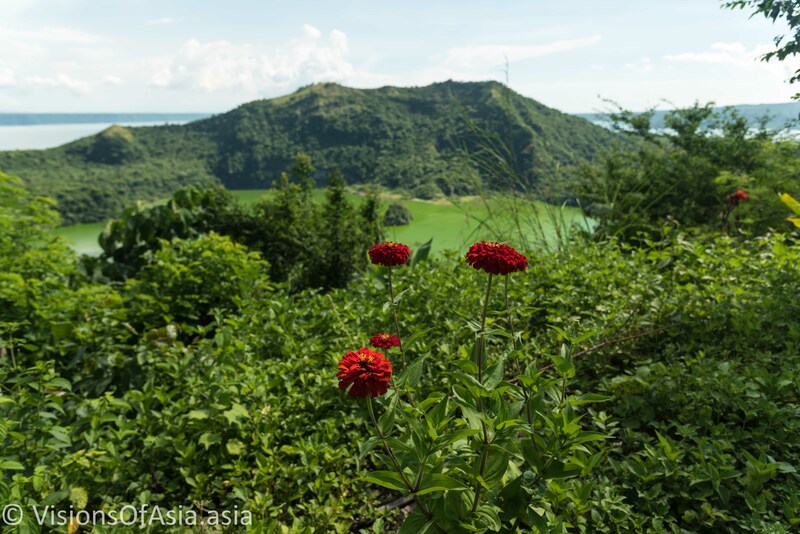 Korea and Japan are often compared and contrasted, but, per se, the experience is quite different. 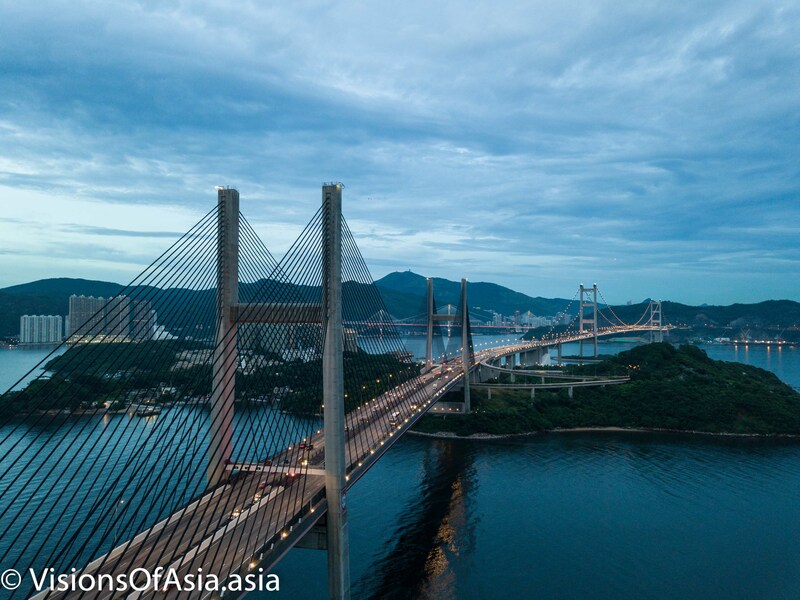 Where Japan is a land very much imbued with animism and hence every inch of landscape is infused with spirituality, Korea is more of a familiar terrain for Westerners. 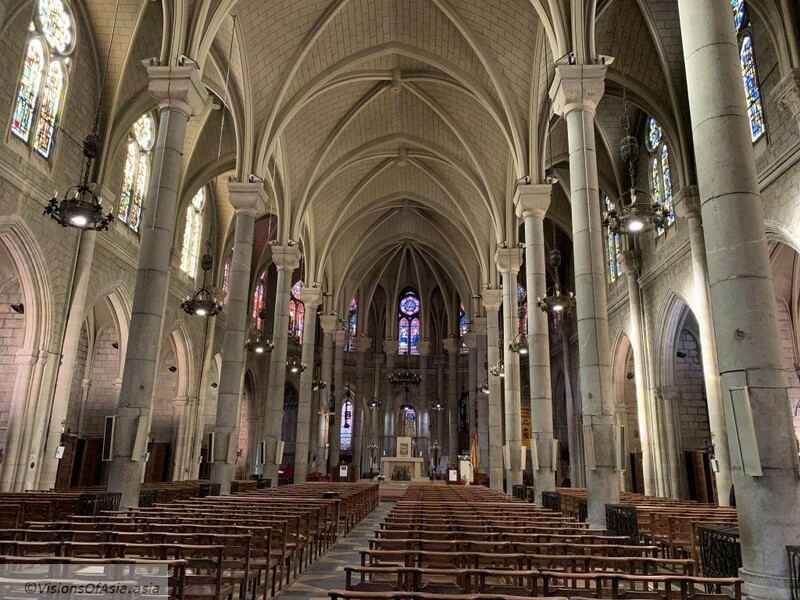 Christianity permeated Korea and makes its people also more relatable in various manners. 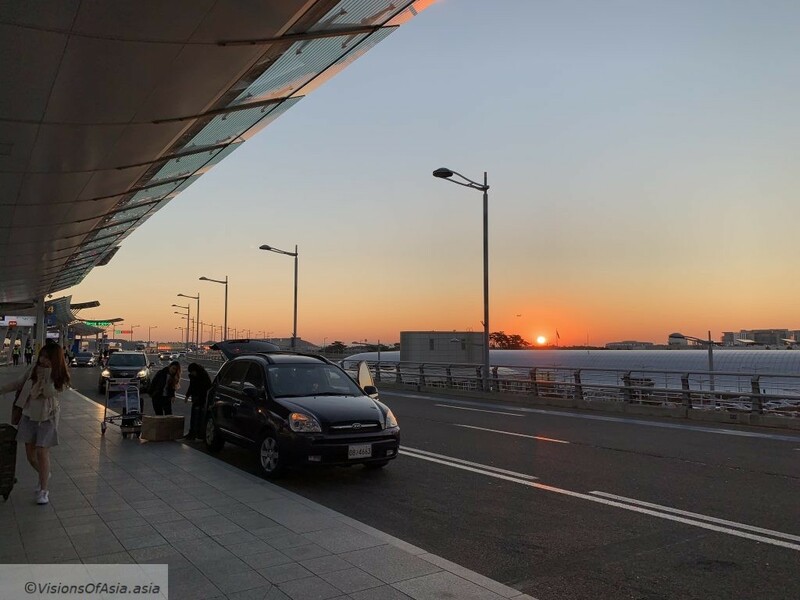 This was very clear when my family expressed a feeling of being welcomed into the country, compared to Japan – where you cannot shake off that feeling of being “gaijin”. 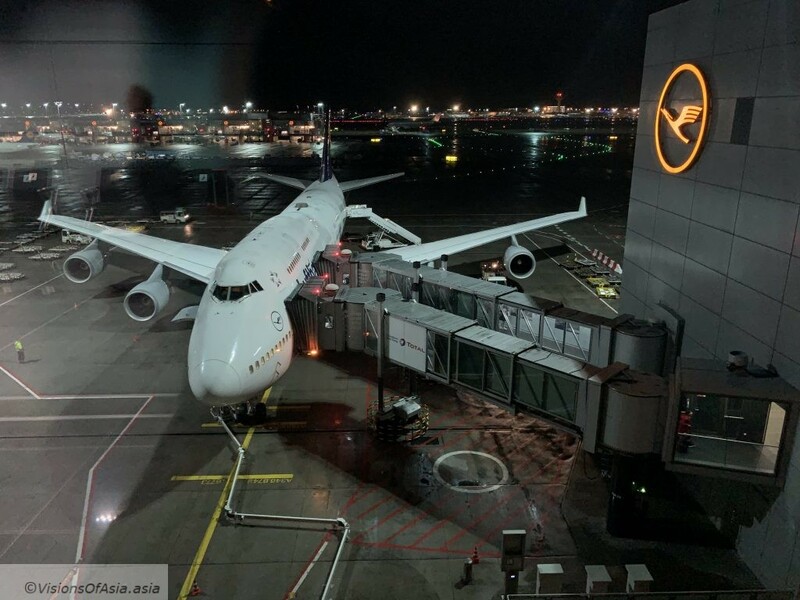 For logistic reasons, we had to take red-eyes flights from Hong Kong to Seoul. 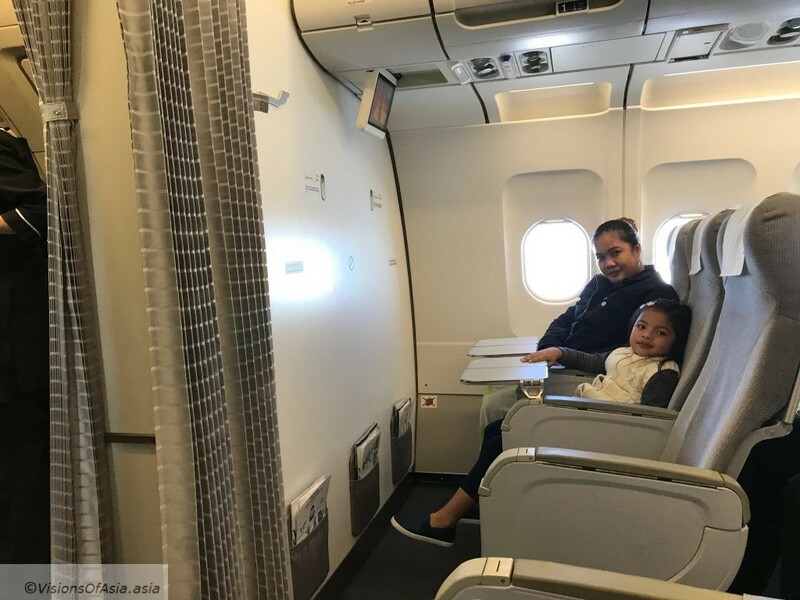 My wife and daughter flew Cathay, while I flew with Korean Airlines. 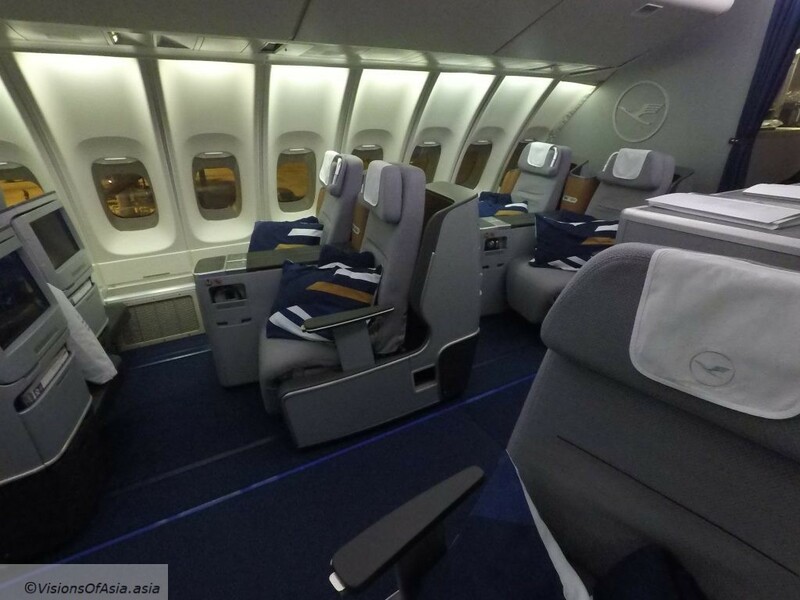 It was actually my very first experience flying with them. 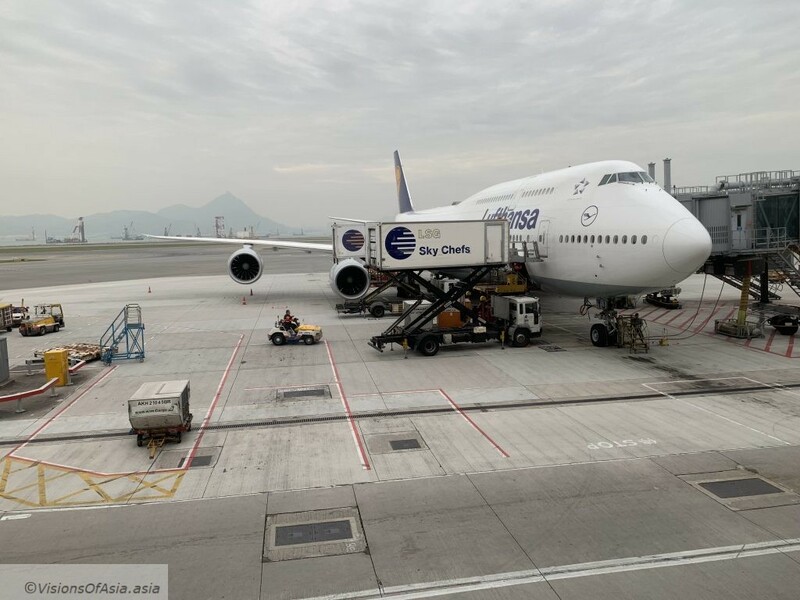 The view from Terminal 1 at Incheon airport in Seoul. 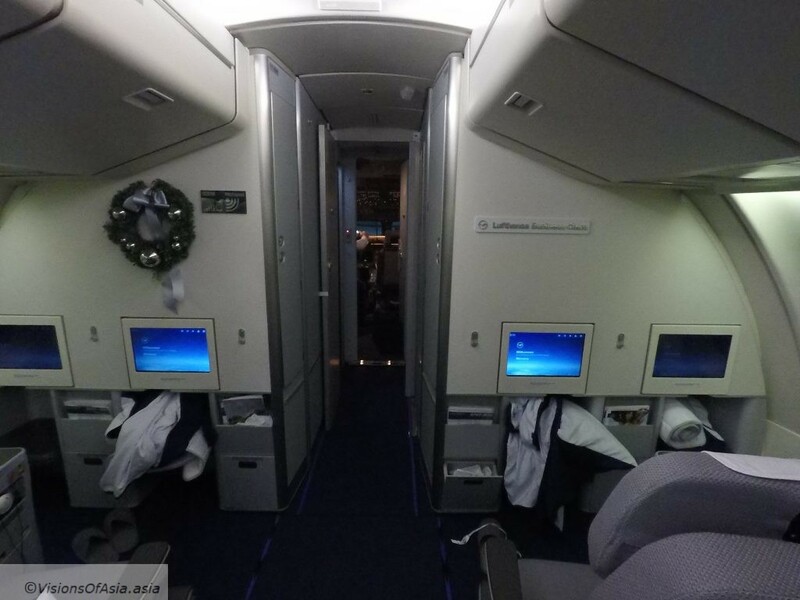 As I flew Korean Air, I landed at terminal 2, whereas most airlines take off from terminal 1. 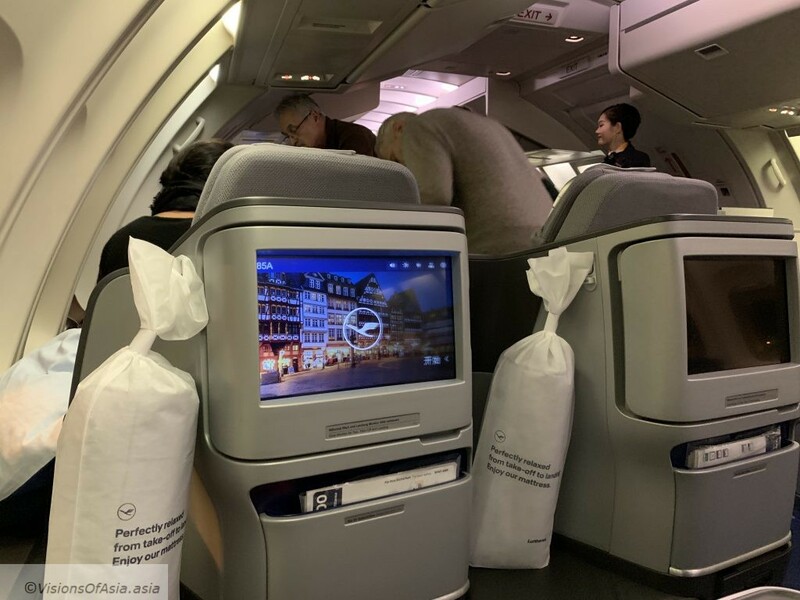 I thus had to transfer terminal with my luggages, in the cold and furthermore, with two times more luggage as my wife had charged me with the gifts for our friends (Check photo below!). 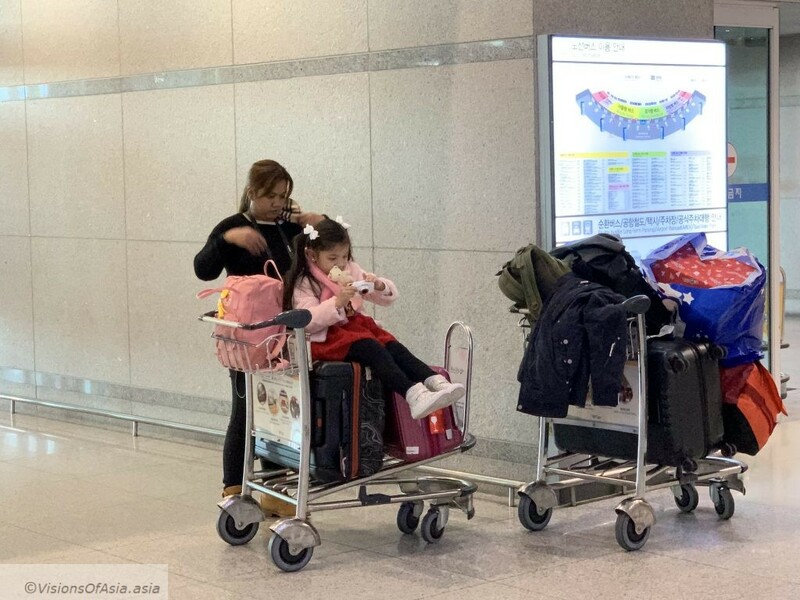 Our plan had been of showering at the airport, dropping the bags at hotel and rushing off to make the most of our time in Seoul. Alas! What sounds great in theory is not always in practice. 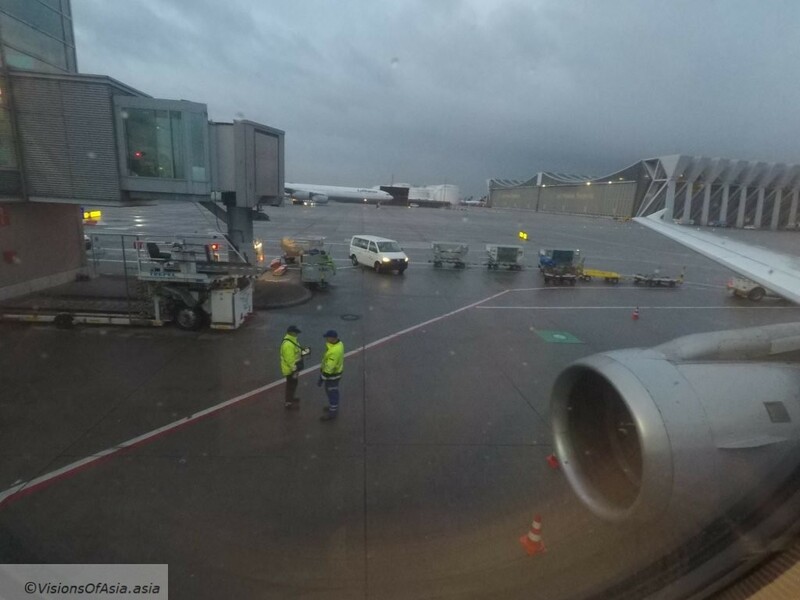 We ended leaving the airport only at… 11! The Limousine bus of KAL took us pretty near to our hotel, namely the Novotel Dongdaemun. It however took pretty much close to 45 minutes! 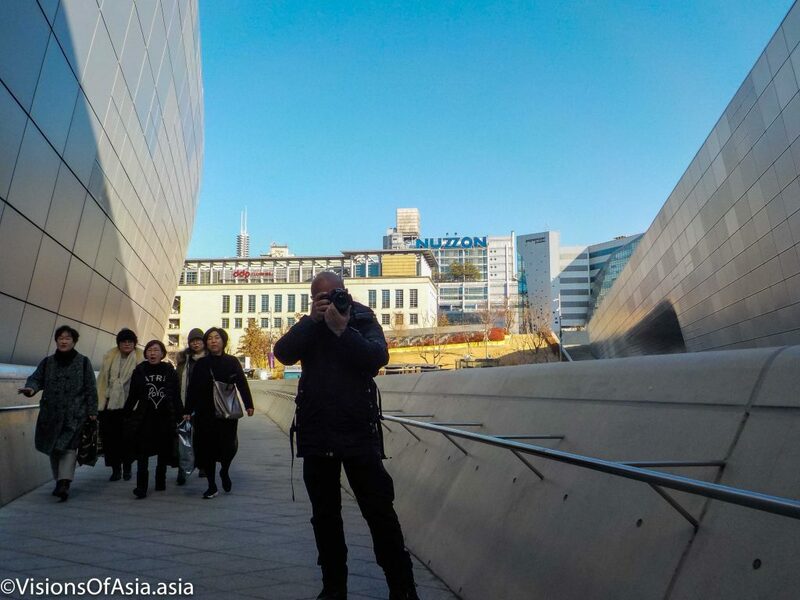 Dongdaemun may be a bit far from the historical center of Seoul, yet it is an extremely lively place. It has quite a number of department stores (shopping is thus one of the most important activities over there), but it also has the very photogenic museum of design. This museum is very interesting, not only for its photogenic aspect, but also because at some locations, you can find a piano made available for people to play on. 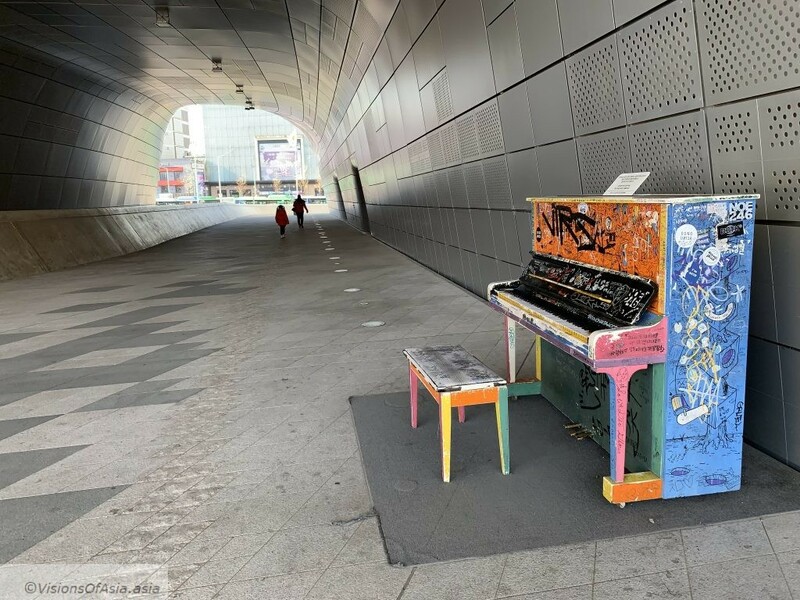 These piano are made available for anyone who wishes to play and offer a performance to the public. 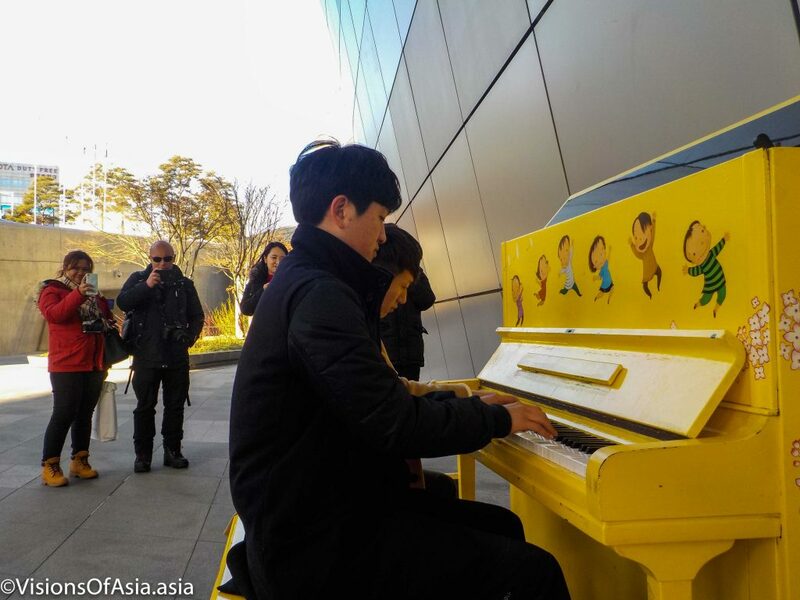 We thus had the occasion of assisting to a four-hand performance by two young Koreans, playing Christmas carols (which I, of course, streamed live on Periscope). 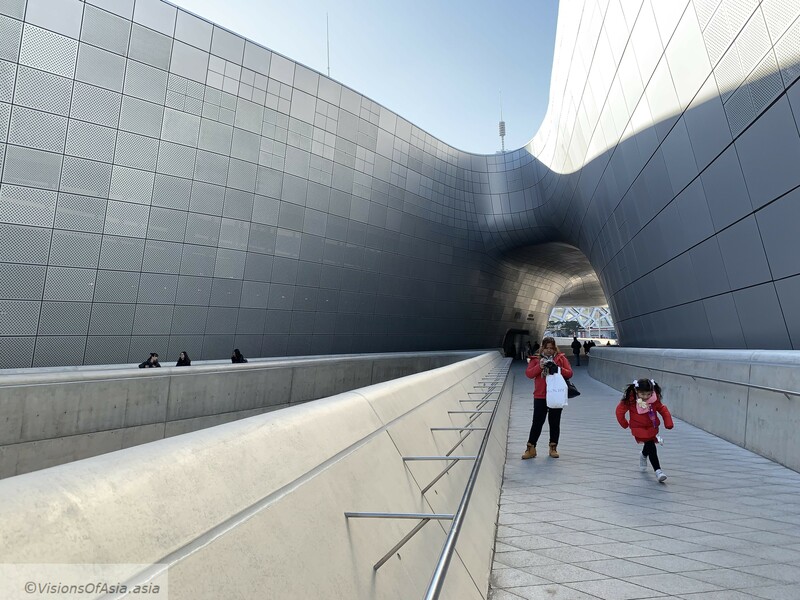 Beyond the design museum, the Dongdaemun area has an extraordinary vibe. 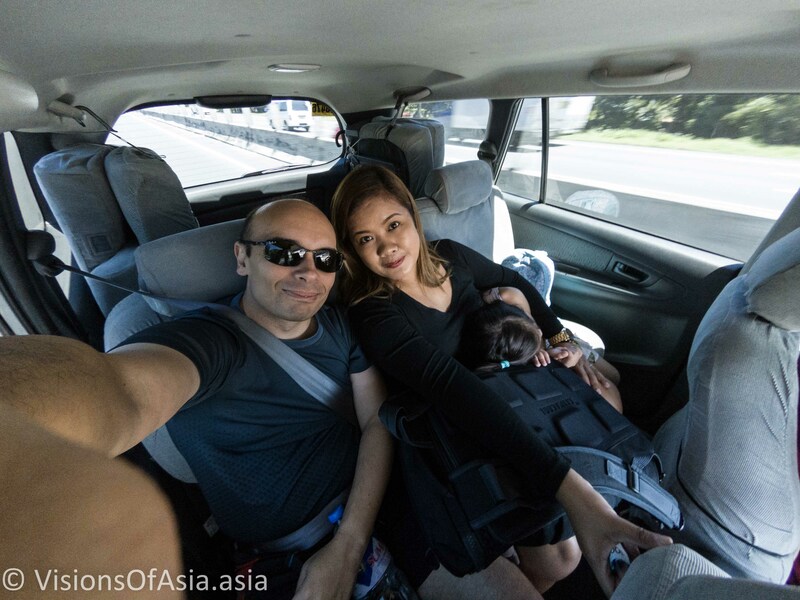 This time around, Maria-Sophia was documenting our trip with her own camera, a small compact Nikon. 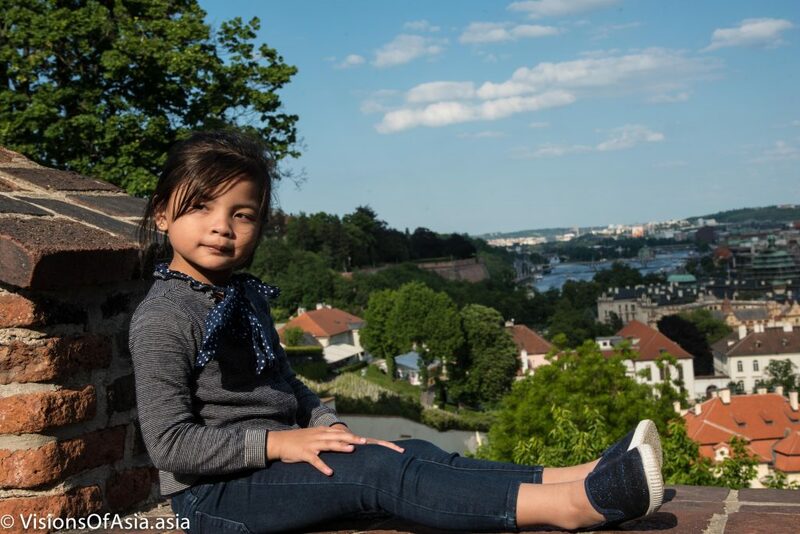 Maria-Sophia managed to shoot me, as I was photographing her and her mom…You can admire the blue sky behind! Maria-Sophia also understood perfectly the concept of being close to the subject in her picture of the two pianists. 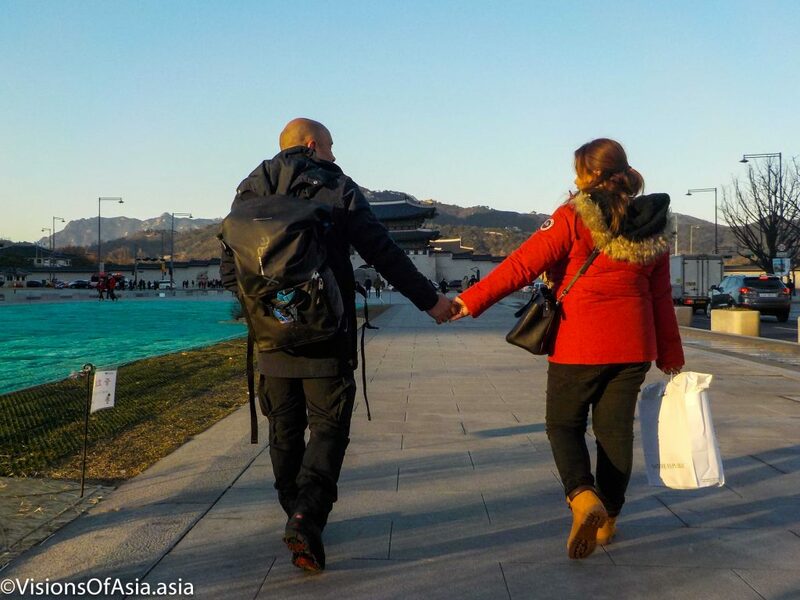 Later, we moved on to the Gyeongbokgung palace, where Maria-Sophia insisted to take a few shots of Mitchy and me. I have to say she did a pretty good job of it. 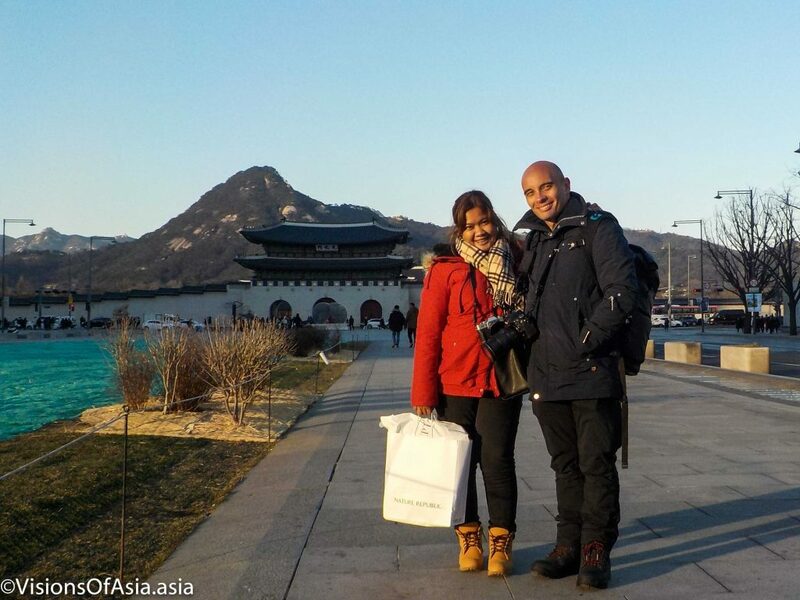 Pic by Maria-Sophia before the gyeongbokgung palace. 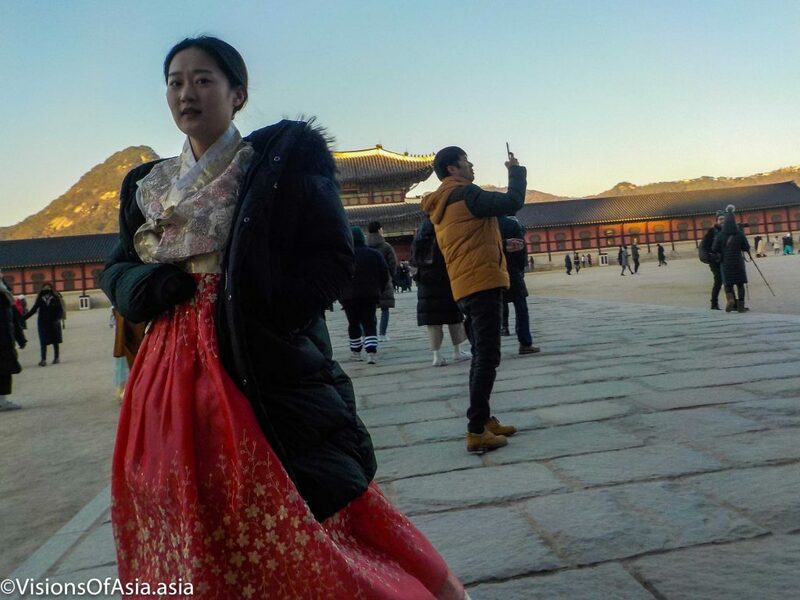 And, of course, Maria-Sophia demonstrated her keen eye by catching a snapshot of a lady in hanbok inside the courtyard of the palace. Sometimes around the world, you have some weird coincidences. 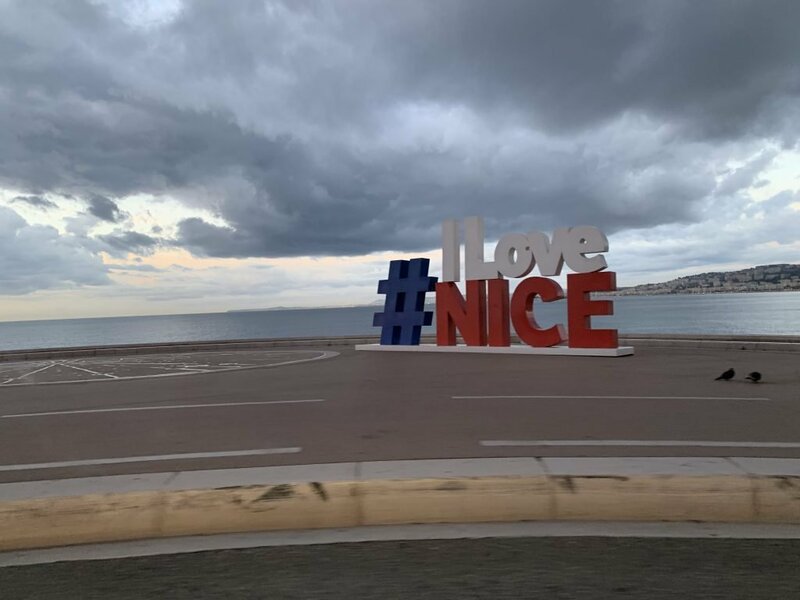 Here, it was my encounter with a scooter sporting a… Monaco plate! A scooter with a Monaco plate in Seoul. 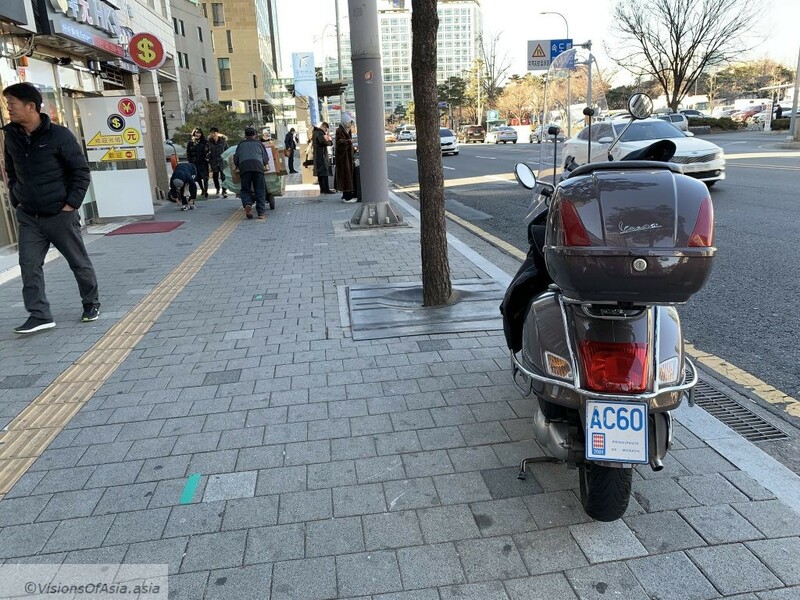 I could not find any explanation as to how such a scooter was allowed to ride in Korea, nor why it had a Monaco plate… But it was the interesting sight of the day. The following days, we were to visit Nami island and then head to Busan. Last May, I was in Prague to participate to a meeting organized by my company. 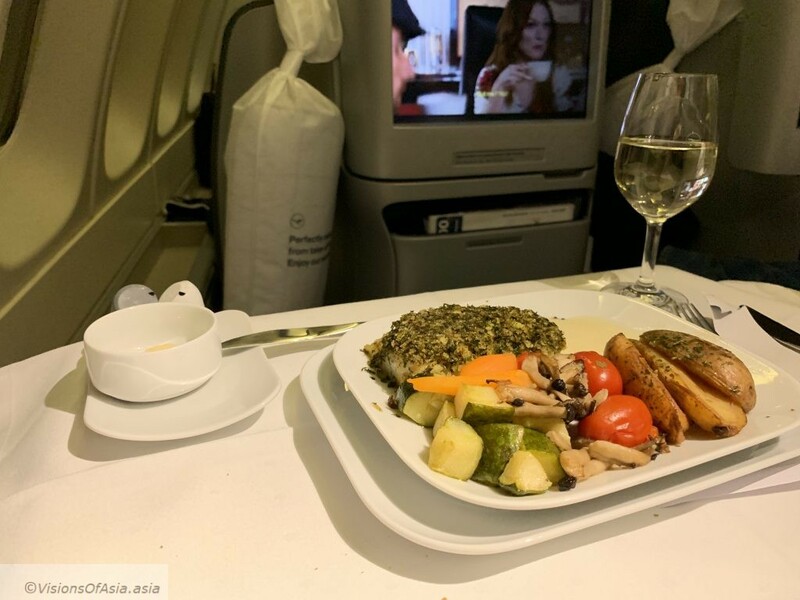 I seized the occasion to have my wife and daughter fly with me to the “Golden Prague” or the “golden city” as the Czech capital is known, occasion of seeing one of the most beautiful cities in Central Europe. 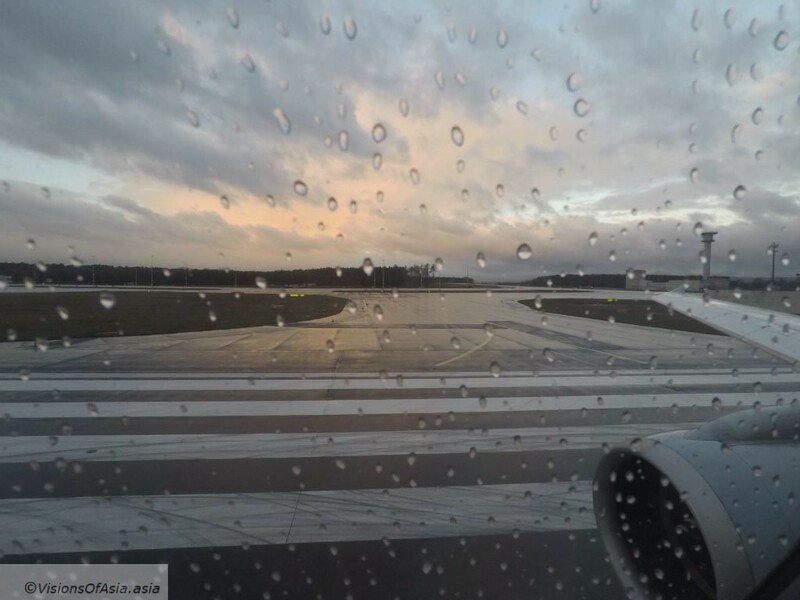 There are many ways to reach Prague from Asia, but we took Finnair, as it was the most convenient way of reaching the city. 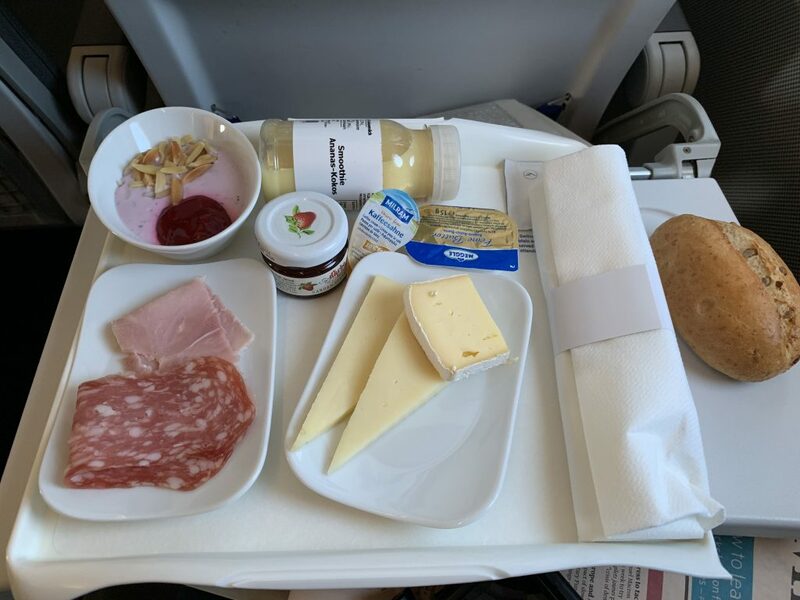 My wife and daughter enjoyed the business class on board the Finnair flight to Prague. 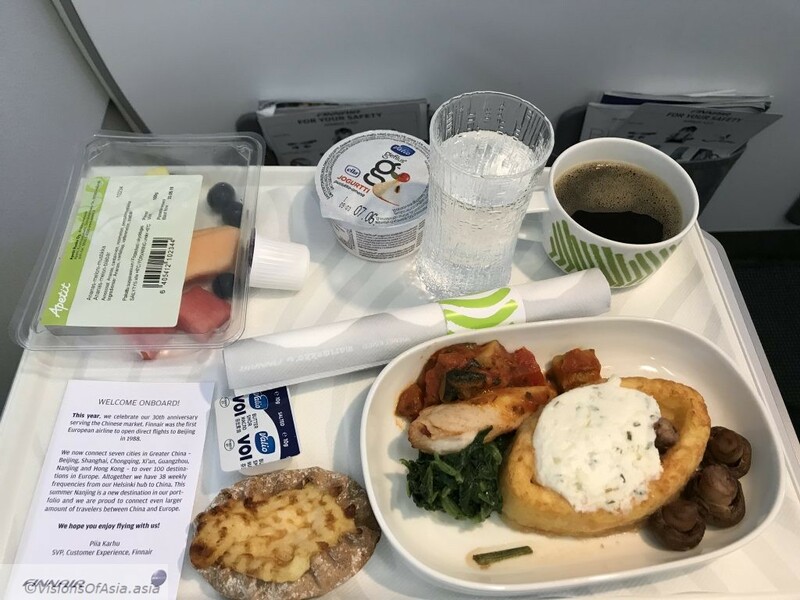 It was an excellent flight, with the habitual excellent food of Finnair. 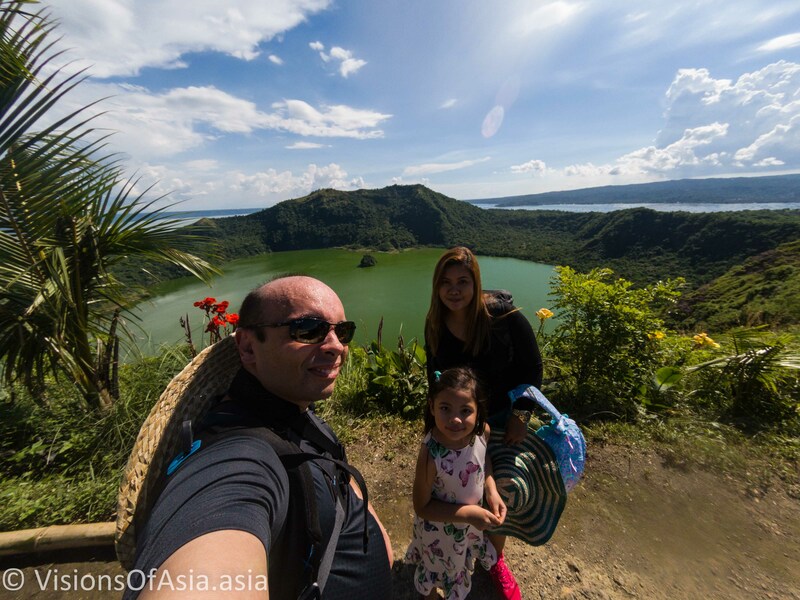 Mitch and Maria-Sophia both enjoyed this short but agreeable trip. The landing was smooth with the lovely Czech countryside developing for miles before the landing. 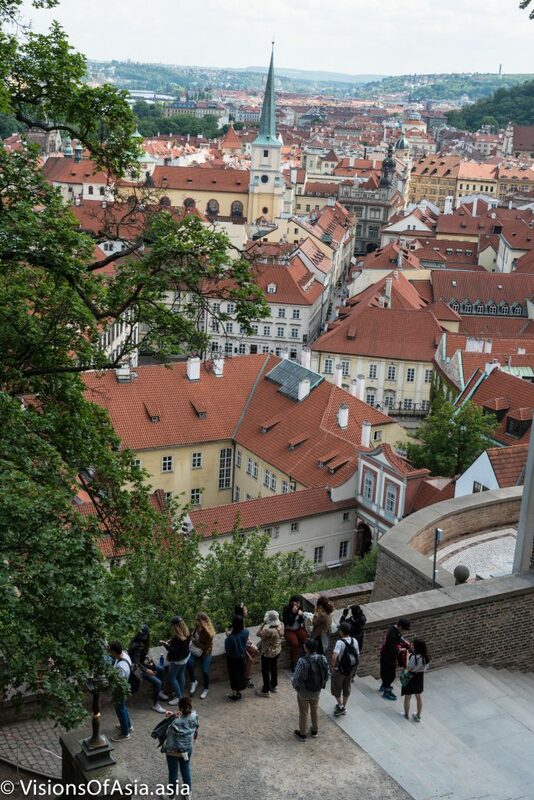 Prague has often had the nickname of being the “golden city”, for its sheer beauty and baroque rooftops. 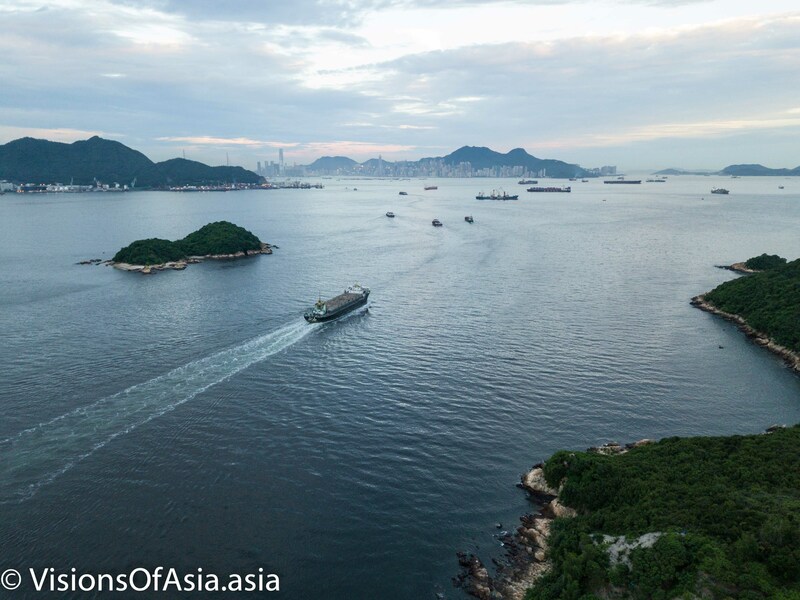 Upon our arrival, we set out thus, to go and see for ourselves the beautiful city. My hotel was at the King’s Court, a very centrally located hotel in the old city of Prague. 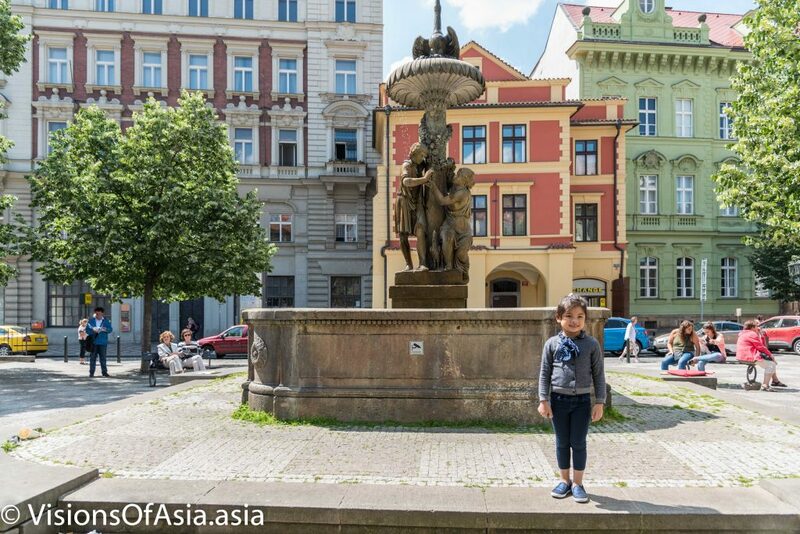 It allowed us to take a stroll immediately in the pedestrian center of the city. The obligatory passage of any visit in Prague is the Prague castle, of course. After meandering through the streets of Prague, we came across this magnificent IXth century castle, which is also the official seat of the President of the Czech Republic. While the IXth century St. Vitus cathedral presents undoubtedly gothic features, the surroundings of the cathedral have been heavily influenced over the centuries by various constructions and particularly in the baroque style, such as the St. George basilica featured above. 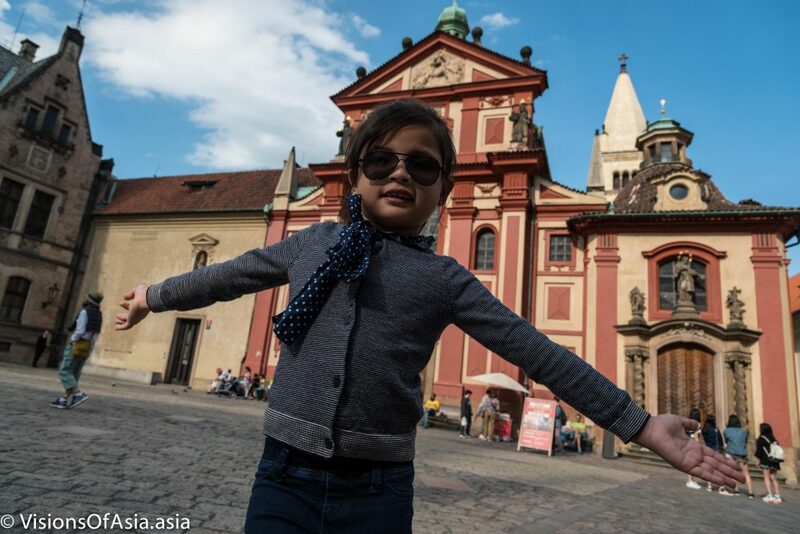 The best part in Prague castle is probably the magnificent view over the rooftops. To get this view, you must enter a little coffee shop which offers an excellent package of coffee + strudel for about 5 €. 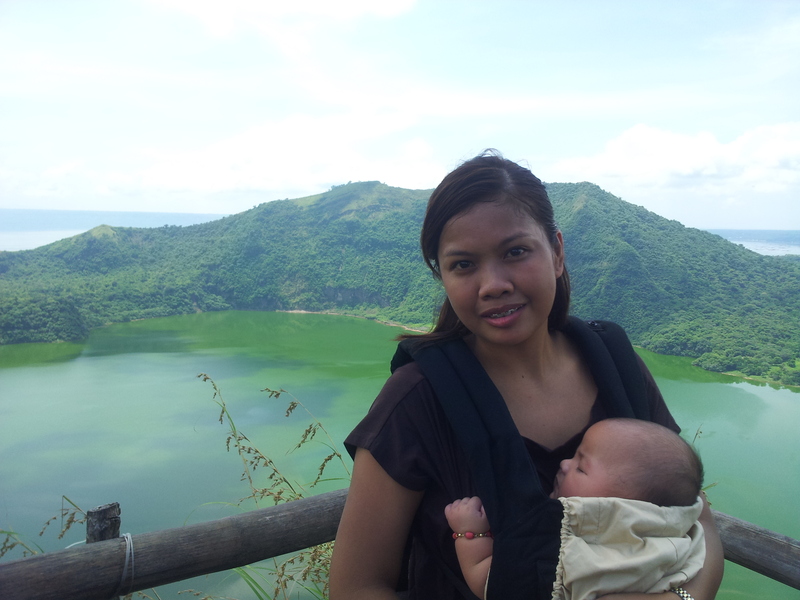 Unbeatable for the magnificent views. 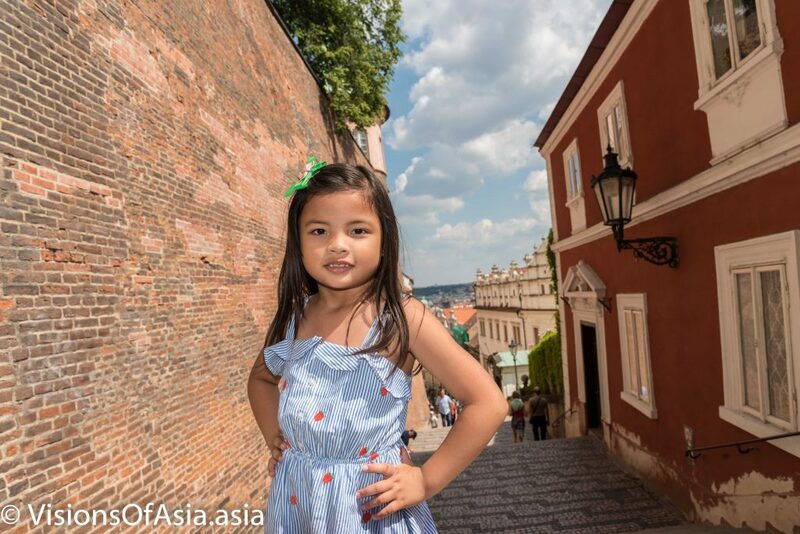 Most people decide to take pictures on the ramparts of the castle, and that’s what we did with Maria-Sophia too. We eventually came back to Prague castle on our last day for more photos. 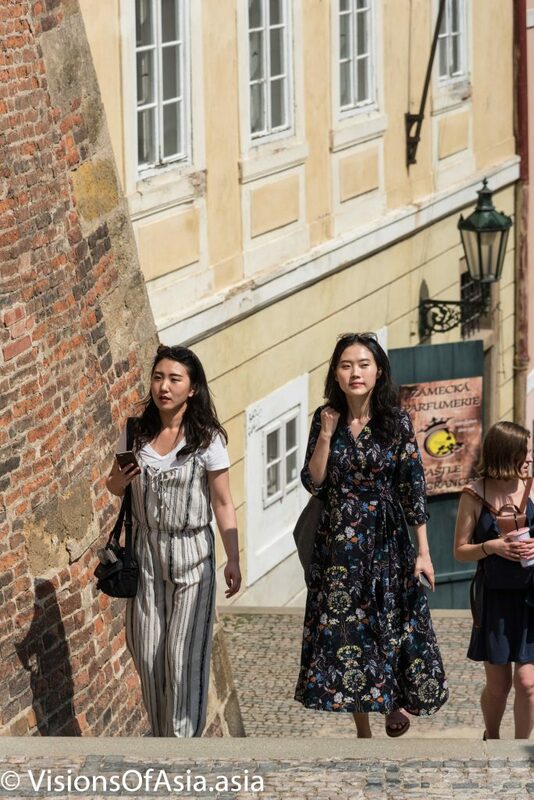 It is worth pointing out that Asian tourists (and particularly Korean couples) seem to affection Prague, both at the castle and the Charles bridge for prenuptial pictorials. 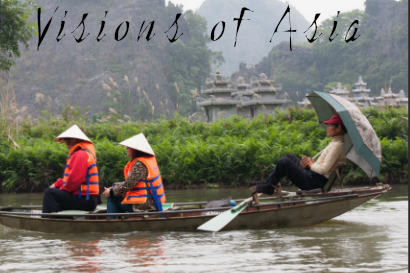 Besides couples, you have also a lot of Asian tourists visiting this historical city. You have two ways to go back to the Moldau. 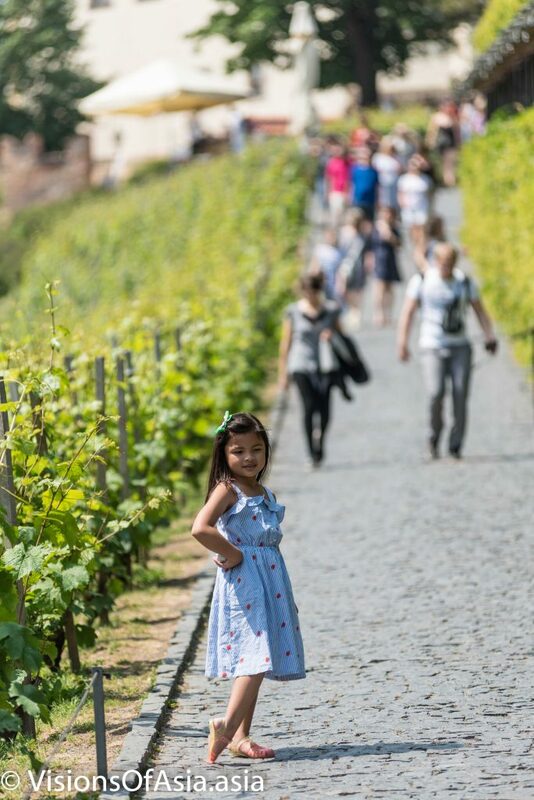 The first is to climb through the Wenceslas vineyards, which offer also a magnificent photo backdrop. The other part involves exiting the castle at the opposite point of entrance and going down stairs in the old city. 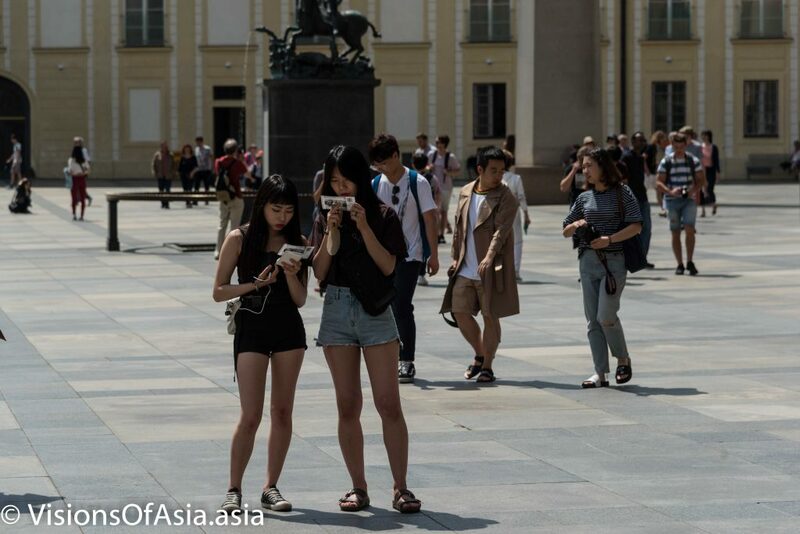 Many Asian tourists chose to take this route, just as these two Chinese tourists. Of course, we also had our own photo sessions on these stairs. 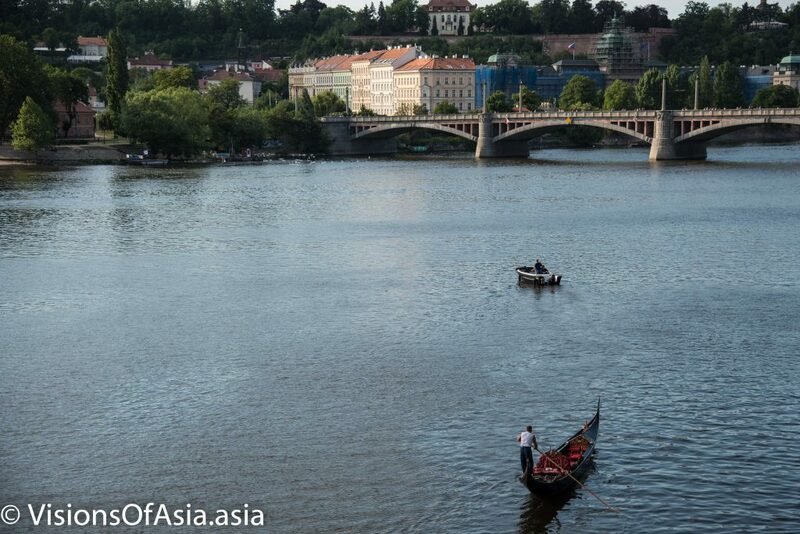 Once we came back down to the historical center, we meandered again to the Charles bridge. This place is an absolute nightmare filled with tourists at any time of the day. 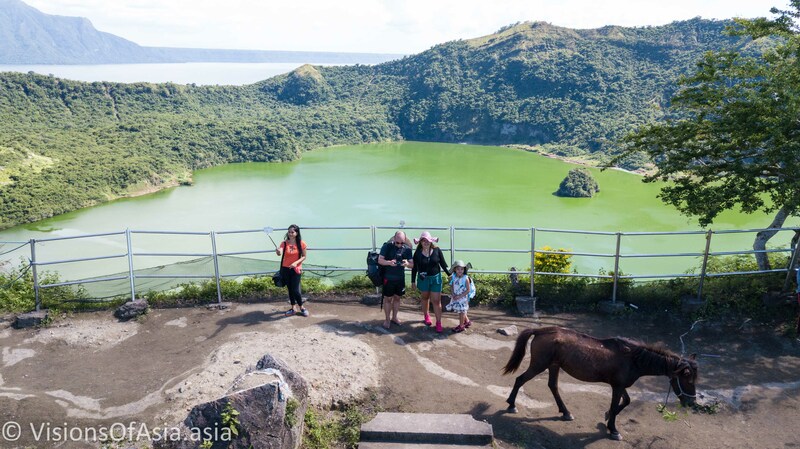 The best moment to visit it is probably during early mornings, where fewer tourists are around. The Charles bridge is also famous for the saint who reportedly was executed on this bridge in the Middle Ages, namely Saint John of Nepomuk. Executed because, allegedly, he refused to betray the secret of the confession, it seems rather this execution was orbiting around the Western Schism. Saint John of Nepomuk supported a candidate wanted by the Roman Pope against the wishes of King Wenceslas for the attribution of a very rich abbey. This might be more of a motive than the romantic legend of refusing to violate the secrecy of confession. 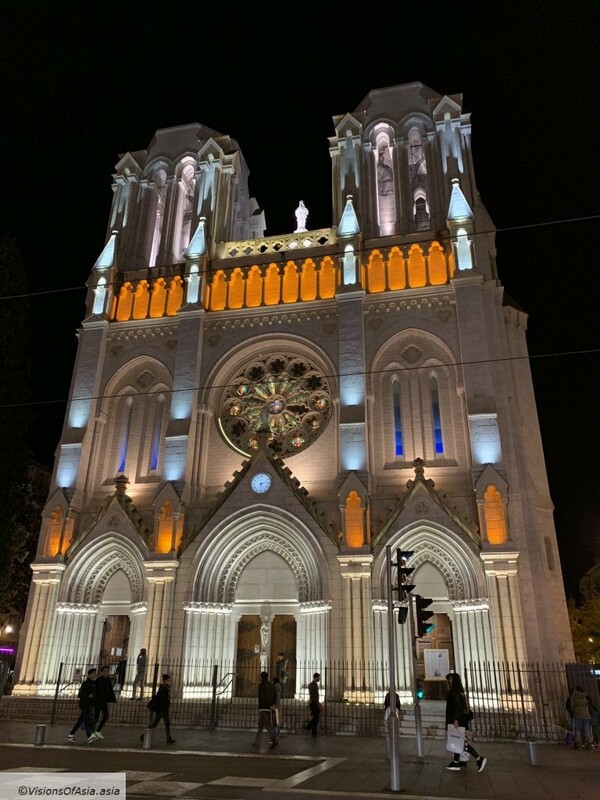 As a reminder, the Western Schism was between the supporters of the Pope in Avignon, infeodated to the King of France and the Pope in Rome, who maintained the supremacy of the Church over earthly sovereigns. In short, the short-lived fight around theocracy, which came to an end under Pope Boniface VIII. This schism ended dividing European kingdoms across support for one or the other Pope, and sometimes even ran lines of divide within some nations, such as in present-day Czechia. Today, a statue is erected on the Charles Bridge, at the place where the saint was thrown in the river. 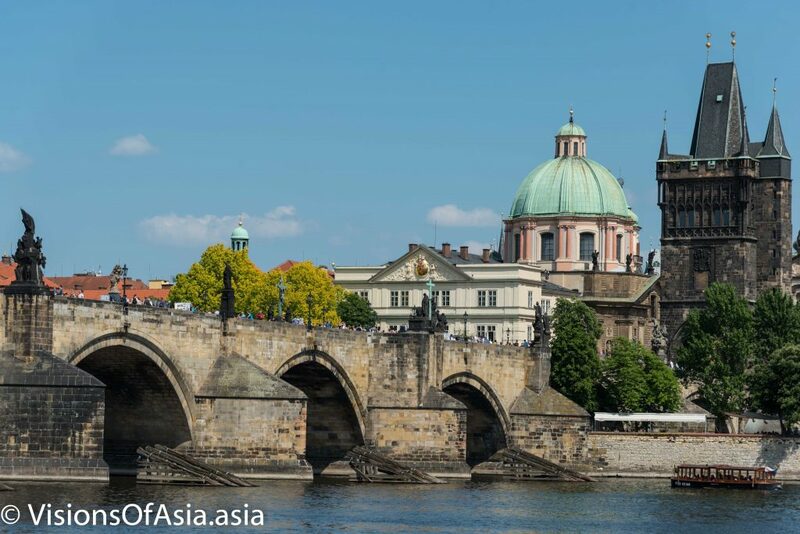 The Charles Bridge, in itself was closed to circulation after WWII, as its age and multiple damages from flooding had weakened its structure. 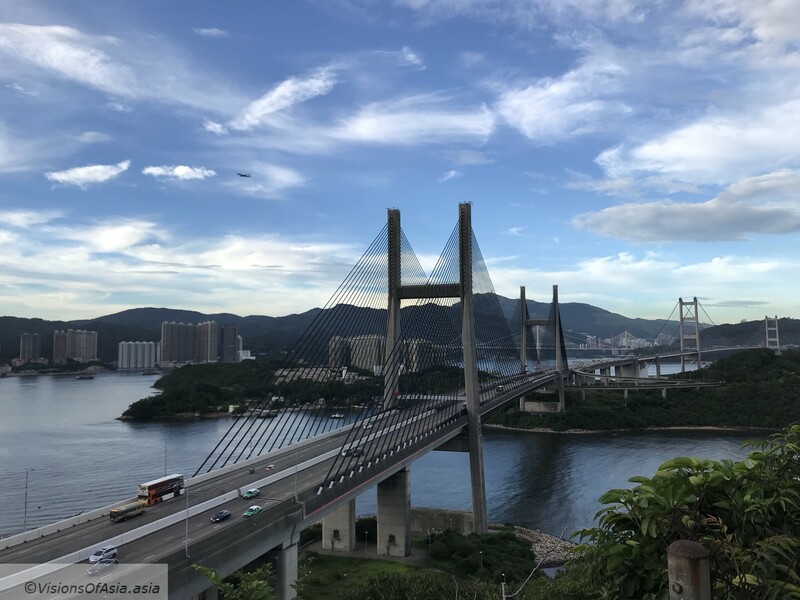 Its modern-day restoration which ended in 2010 is strongly criticized for failing to respect the ancient character of the bridge and mixing older and newer materials. I guess that when you come to Prague, you suddenly understand the famous “Moldau” symphonic poem by the Czech composer, Bedřich Smetana. 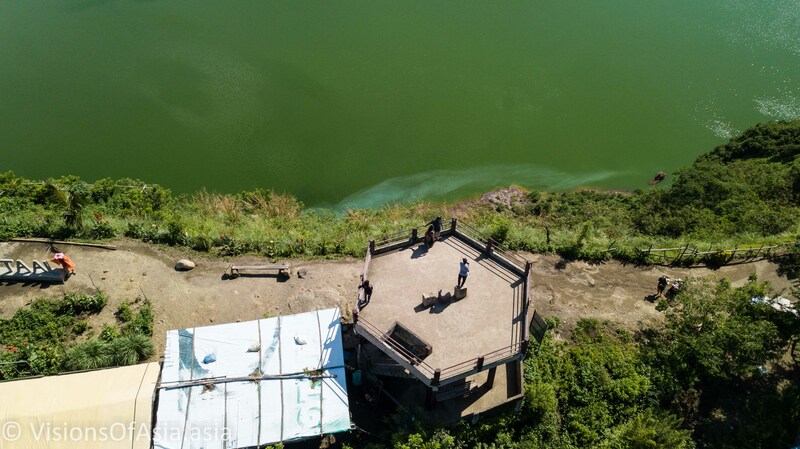 The river and its flow do really evoke the powerful and peaceful music of Smetana, and for a classical music lover, it is quite an emotional moment. Prague is also the birth city of another great Czech composer, Anton Dvorak. 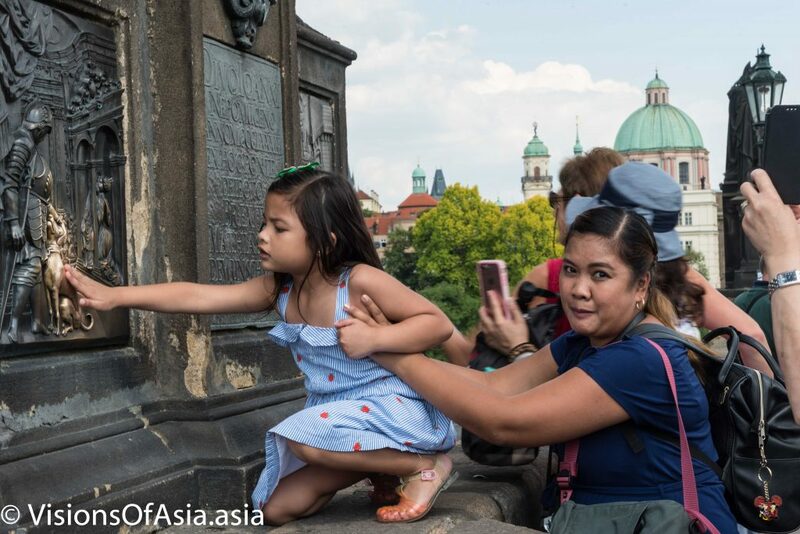 After our travel to Prague, we came to the conclusion that while the city is magnificent, Czech people instead are mostly disagreeable and lack common customer service sense. 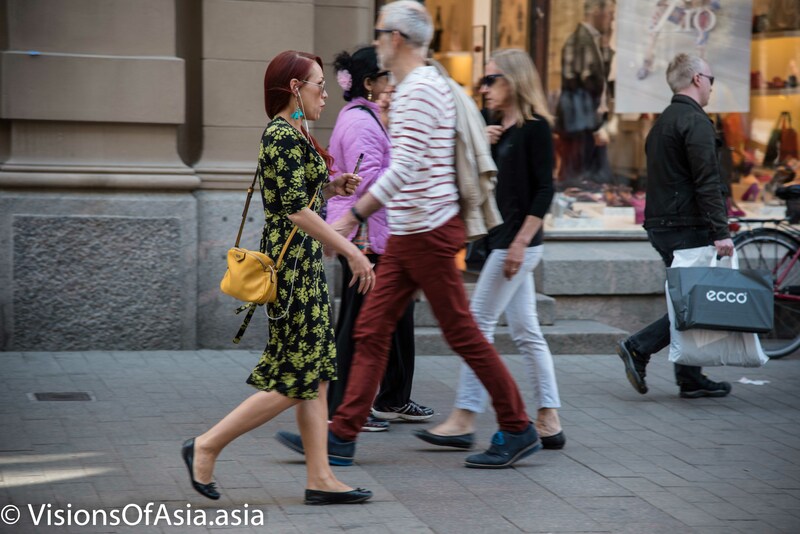 The general attitude was rather rough and rude in shops or cafes, not to mention there is none of the friendliness we encountered for example in Finland or Spain. 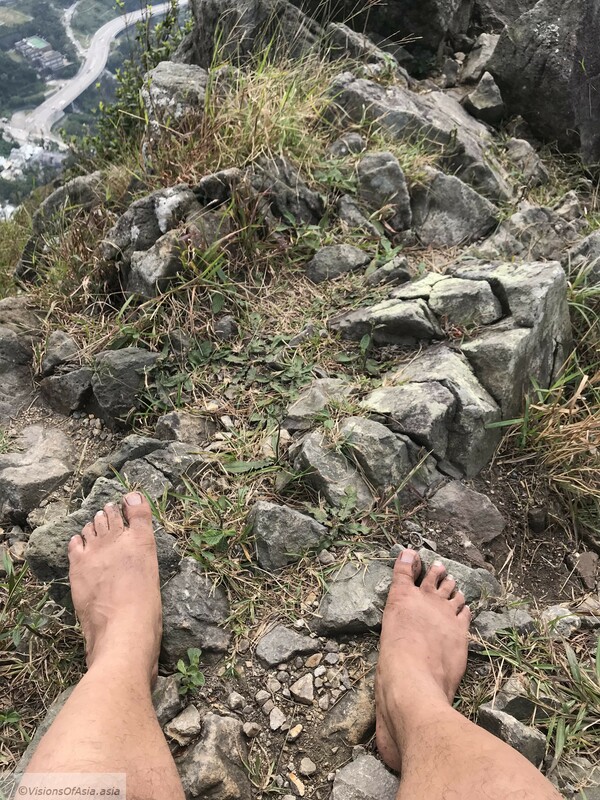 My previous hike on Lantau peak was shod; it was thus only natural that I should attempt a barefoot hike on Lantau peak. 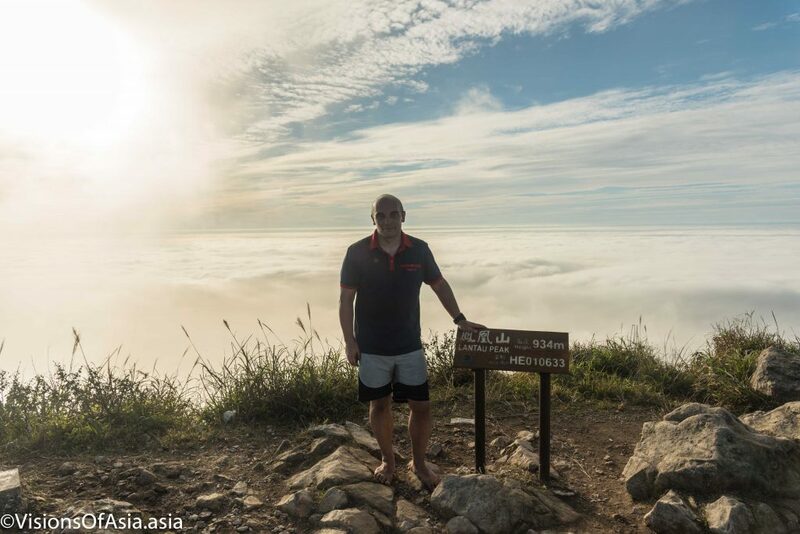 The initial goal was just to manage to climb the mountain, but eventually, I managed to photograph a “sea of clouds“. 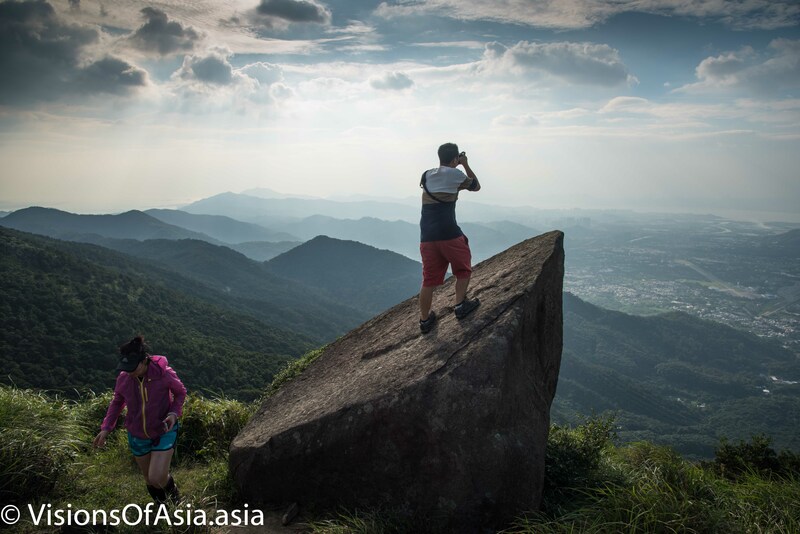 I decided to climb Lantau peak as I had to take my family to the airport. Remembering that I struggled with all my gear the previous time, I decided to hike light this time. My package contained water, my camera, my phone and a go pro. I also took a change of clothes and a fleece sweater, as I was expecting to be chilled on the return. 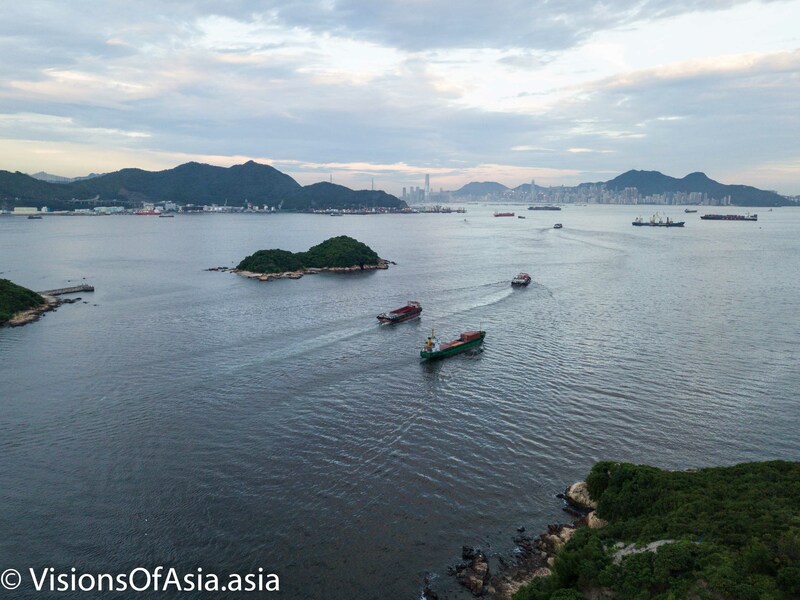 The departure took place pretty late, towards 3 PM, but that still gave me some margin, as sunset was to take place around 17h 30 pm, so I still had time to return to Nong Ping. 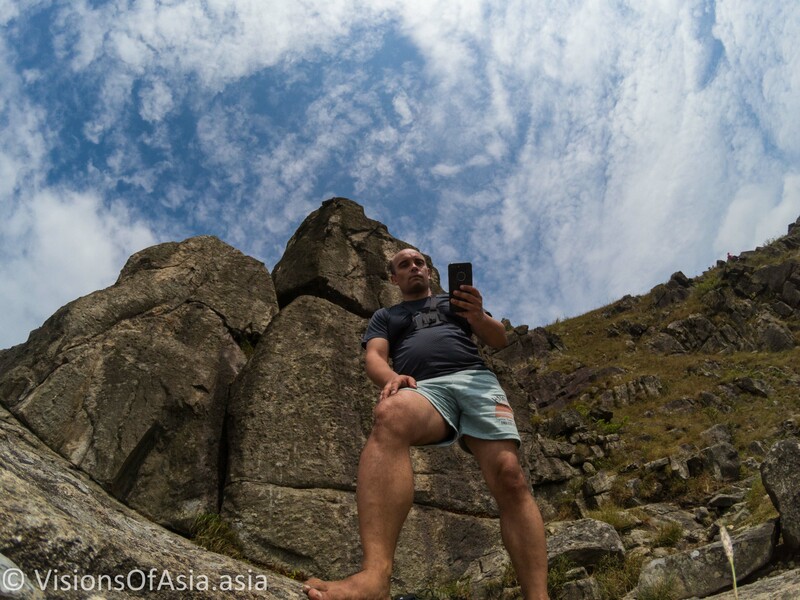 However, on the way, I saw several Indians who were barely arriving within view of the summit around 16h 30, or close to 17h 00… Given that none of them had packed a torch other than their smartphone, I hope they managed to get down without issues. As a reminder, if you expect your hike to have even a remote possibility of ending at night, you should carry a torch light. 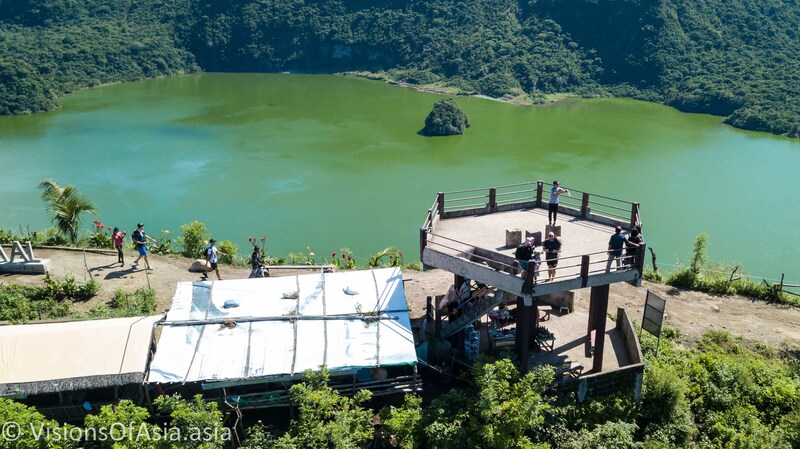 As usual, the hike starts on Pak Kung Au. 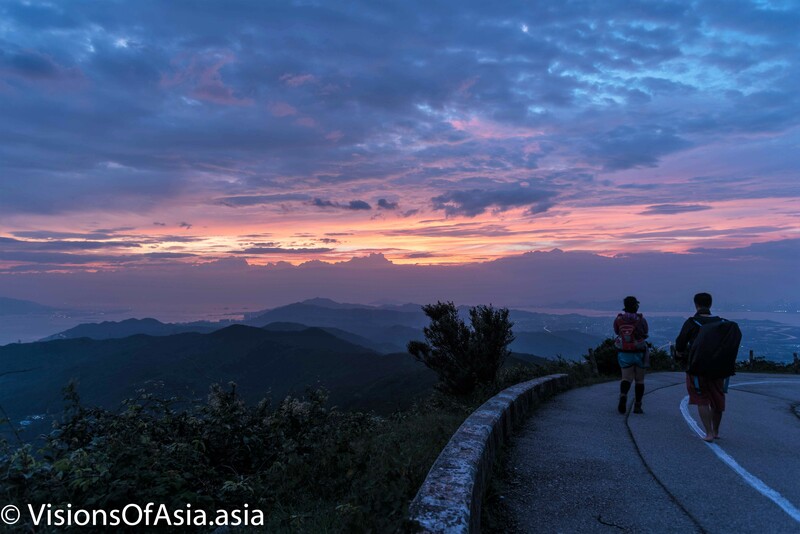 This location is the starting point for both, Lantau peak hike and Sunset peak hike (where you hike all the way to Mui Wo). 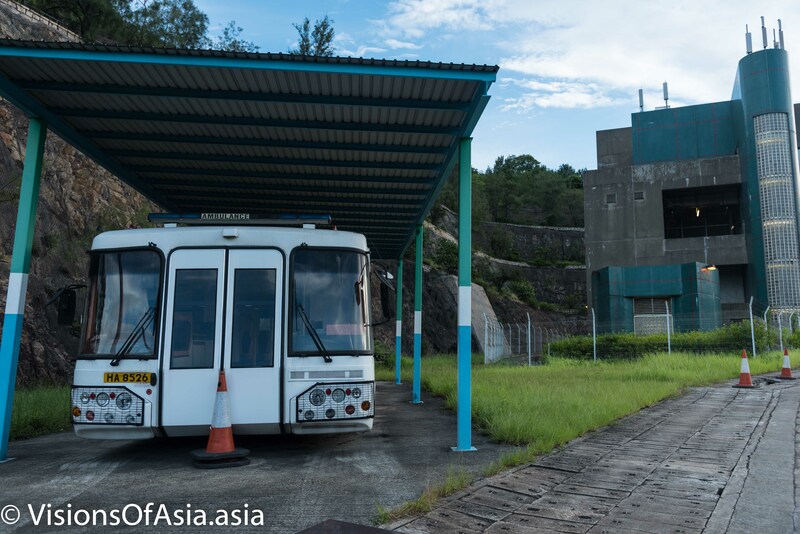 Pak Kung Au, being some distance from the town of Tung Chung, you must catch bus 23M (the one going to Nong Ping) and alight at Pak Kung Au station. 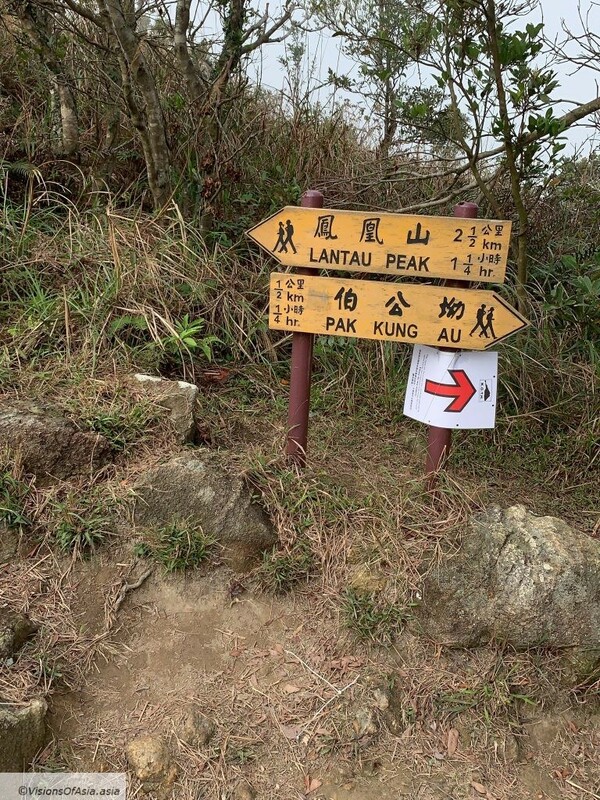 From there, you have to walk uphill some short distance, before joining the start of the trail to Lantau Peak. 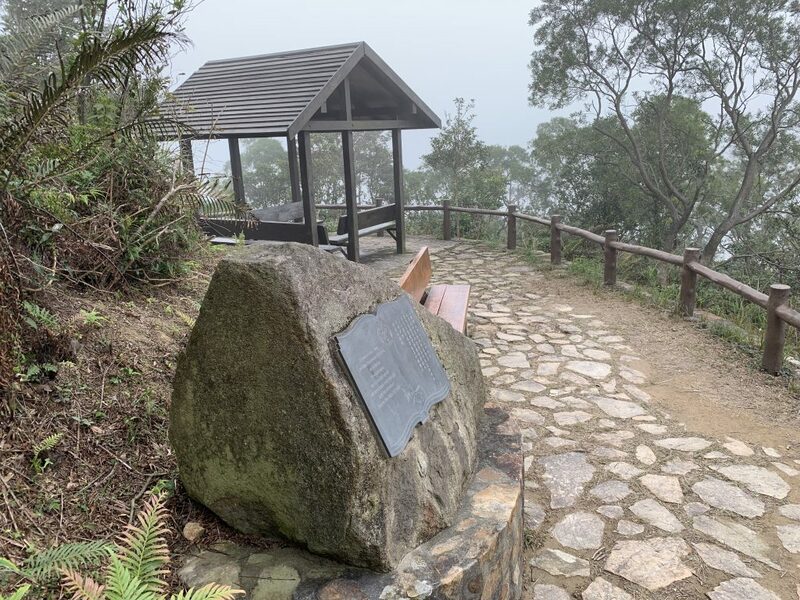 At the very start, you will see a memorial comemorating the two GFS (Government Flying Service) pilots who got killed in a helicopter accident on the flanks of Lantau Peak. A heavy fog was blanketing all of Hong Kong, so I was not really expecting there to be any significant shots, but I was fine with it, as it was just for the exercise. 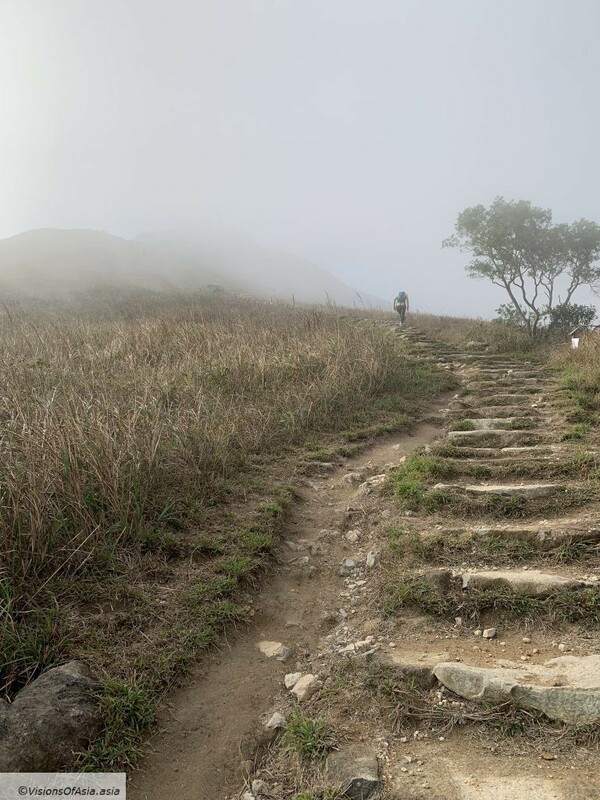 The start of the trail on Lantau Peak: endless stairs disappearing in the clouds. 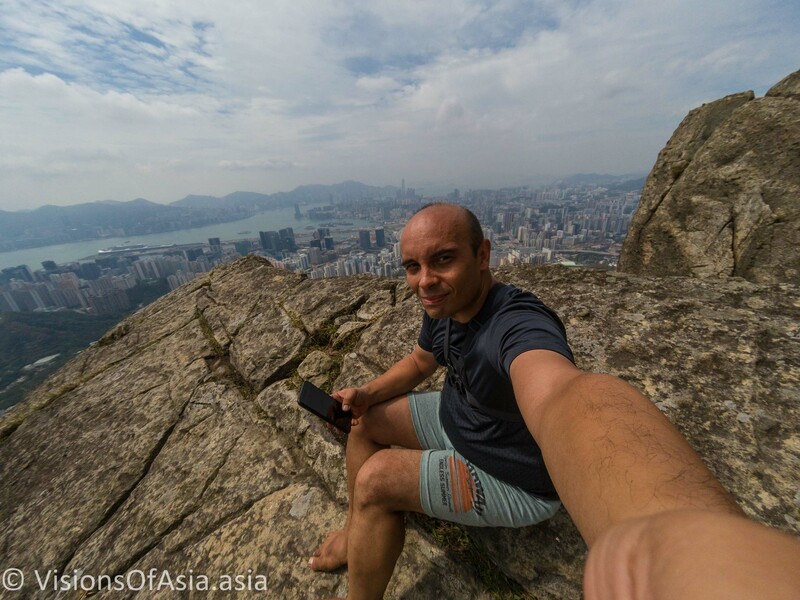 The first time I climbed Lantau Peak, it was at night, with a heavy load on my back and with a much lesser degree of cardio. 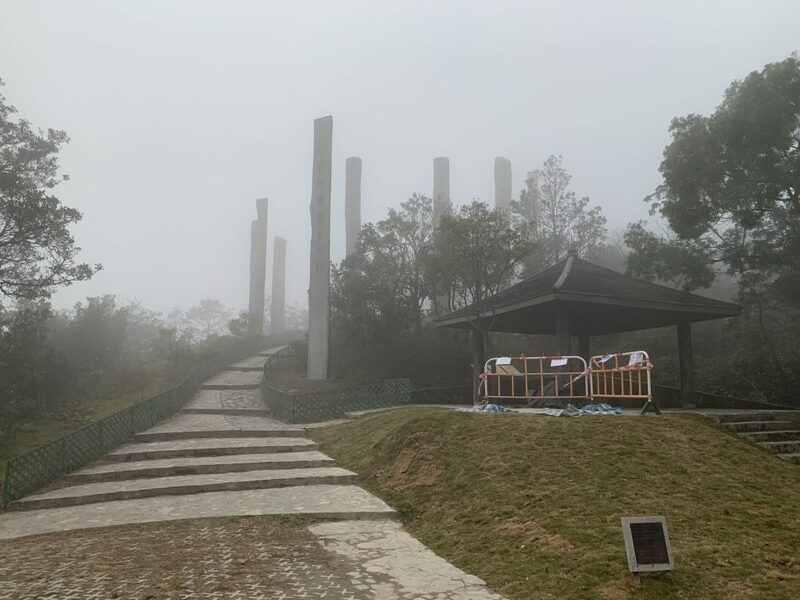 This time, I was able to keep up a good level of speed, and if I didn’t manage to reach the 1h 1/4 promised by the direction boards, I did manage to get to the top in 1h 25 mins. 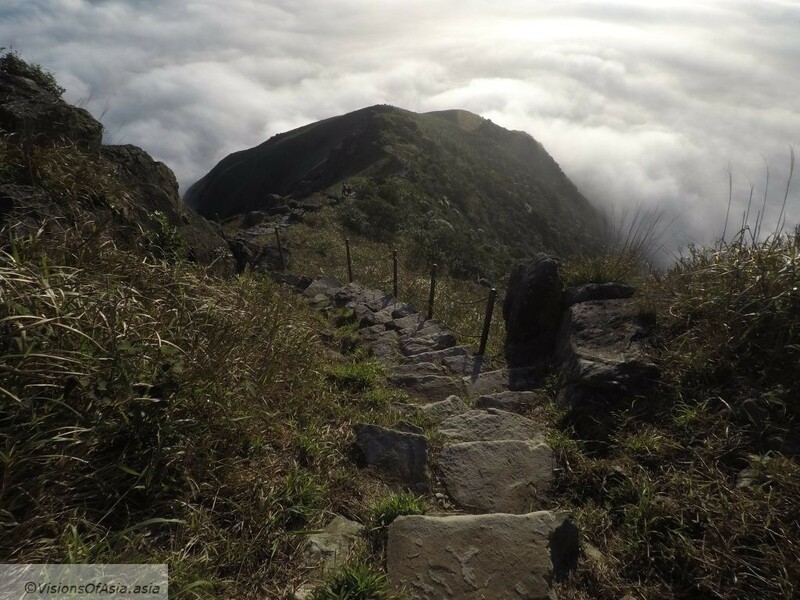 While very well signaled and built and unlike suicide cliff, perfectly safe to climb, the hike is mainly an endless succession of stone stairs. Keeping a light backpack is paramount to conserving energy and not exhausting yourself up there. 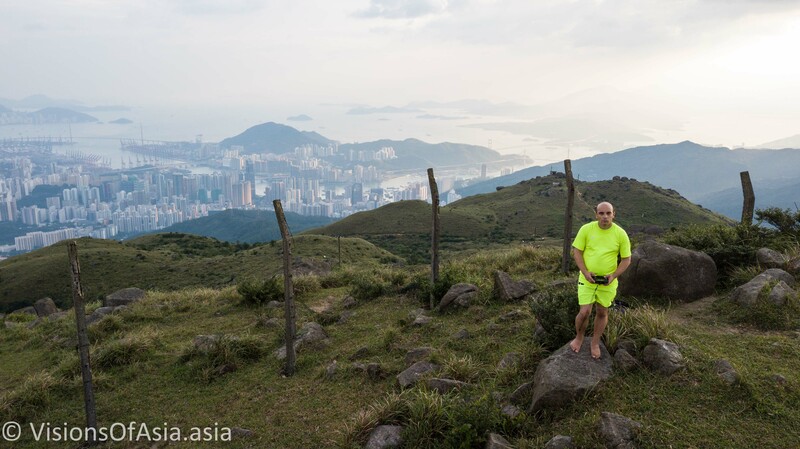 For a barefoot hiker, the challenge is compounded by some rough trails along the way, with loose stones. With some training, you just breeze past those areas, and bare feet do consent more balance. However, if you are unsure of your balance taking a hiking stick can certainly help. 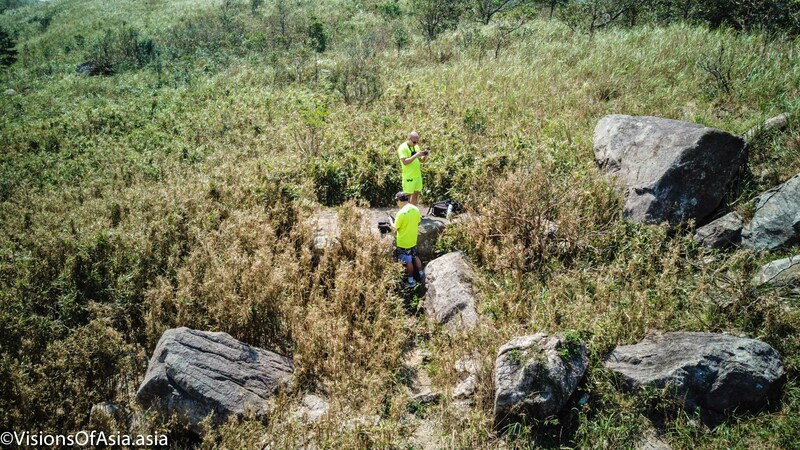 In some parts, instead of stairs, there are some rough trails. Barefooting requires some technique here. At a point, I exited finally from the cloud cover and was welcomed by a warm sun in its setting phase. 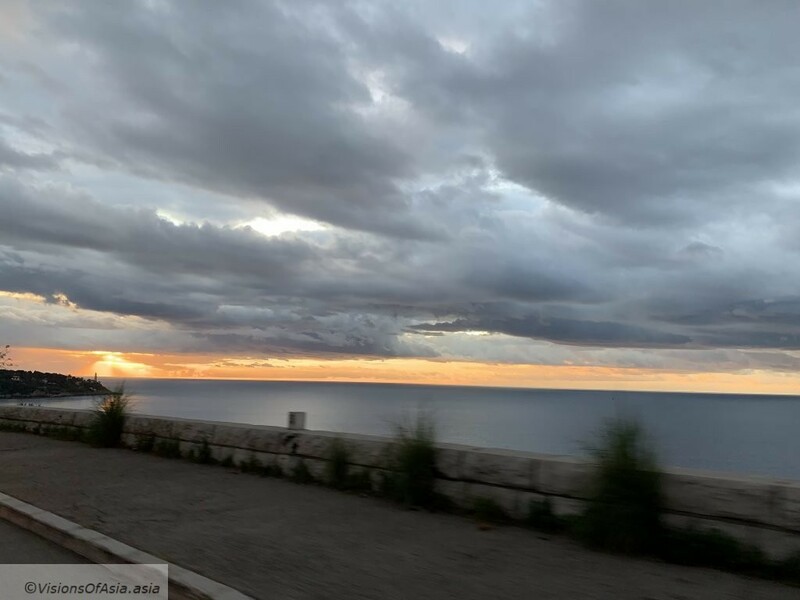 There is always some marvel at seeing the sun after bathing in the fog, but the marvel was compounded when I turned around and saw that there was actually a sea of clouds! 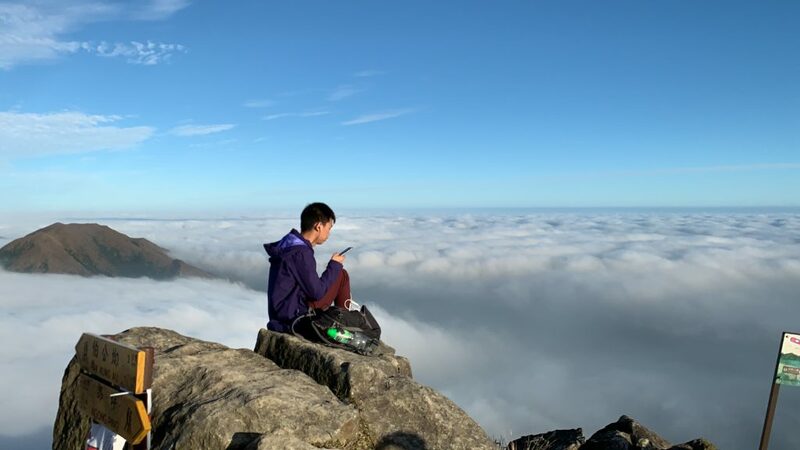 As a reminder, the “sea of clouds” is generally formed by a weather phenomenon called “temperature inversion”, where the air near the ground is colder than the air above, thus trapping the fog on the bottom. 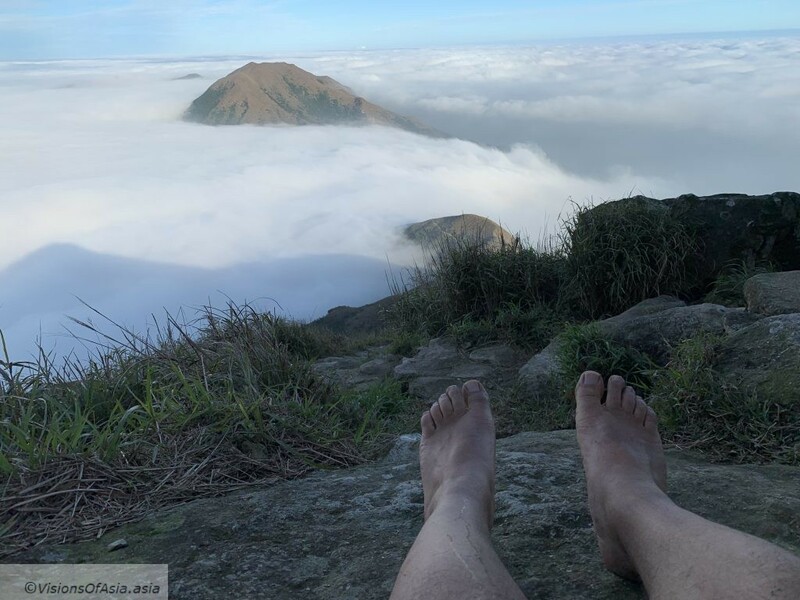 It is often said that barefoot hiking allows you to experience the hike, as well as do it… But the real experience was the magnificent views on this hike. 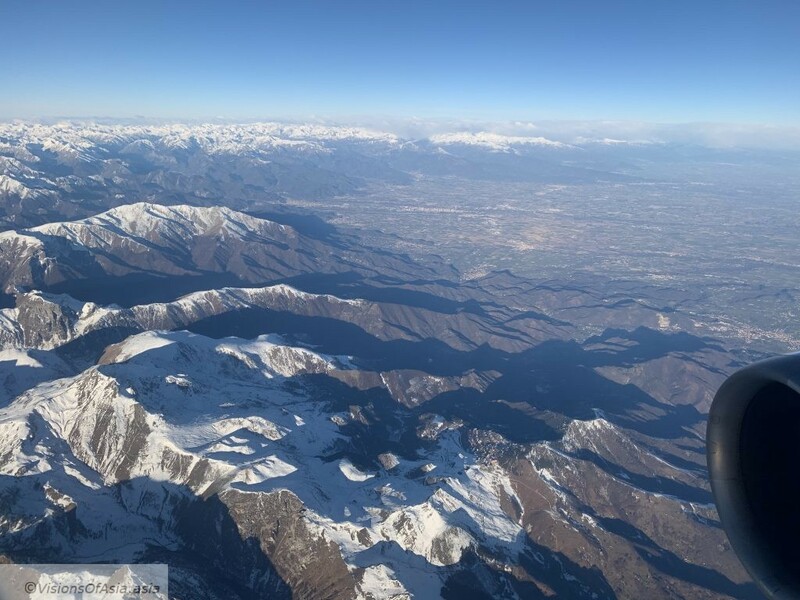 The gorgeous views would almost let you forget that there is an airport in operation just next to the mountain! 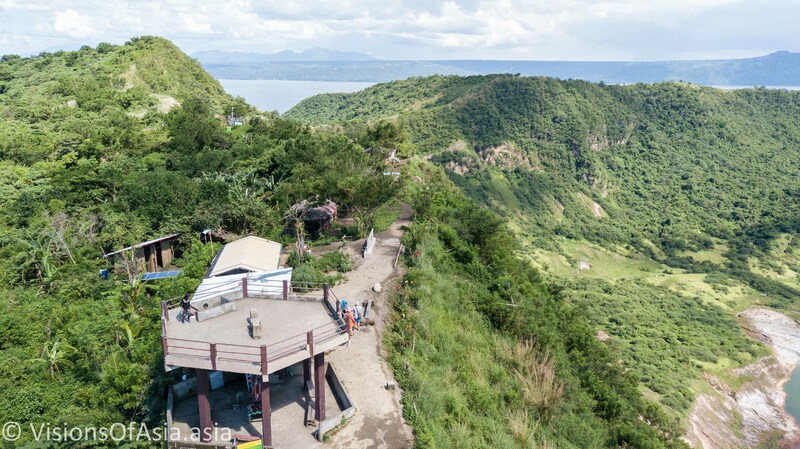 There is always a thrill in arriving to the top of a mountain, in my case, the thrill was increased by the fact that I did climb faster than I expected. A lot of hikers were busy taking pictures around on that day. And for cause! The sea of clouds was just gorgeous. 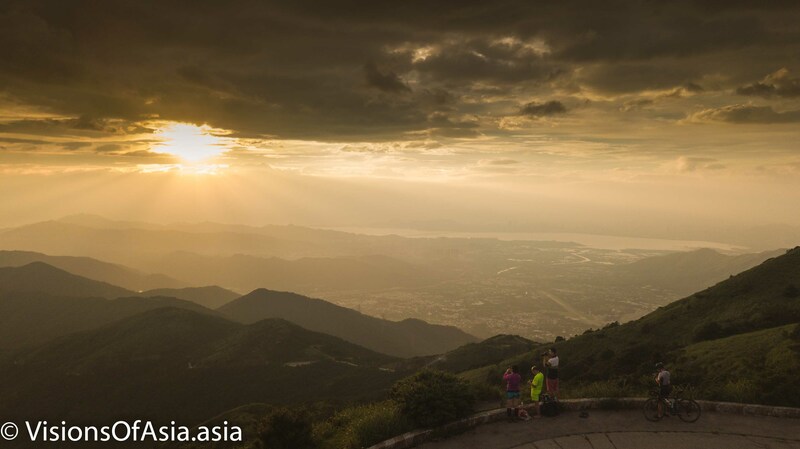 An idea of the gorgeous view at the top of Lantau Peak via this panorama pic. 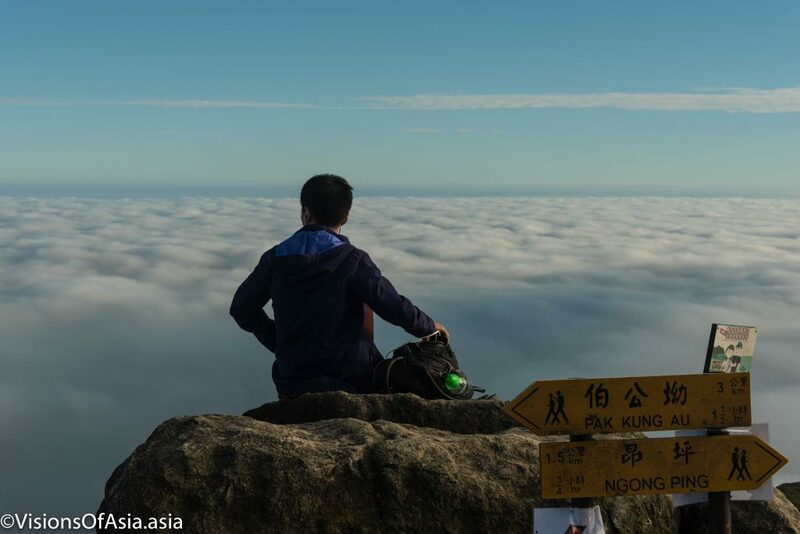 The setting of the sea of cloud is so incredibly gorgeous, that it provides the occasion for many pics in dreamlike situations. 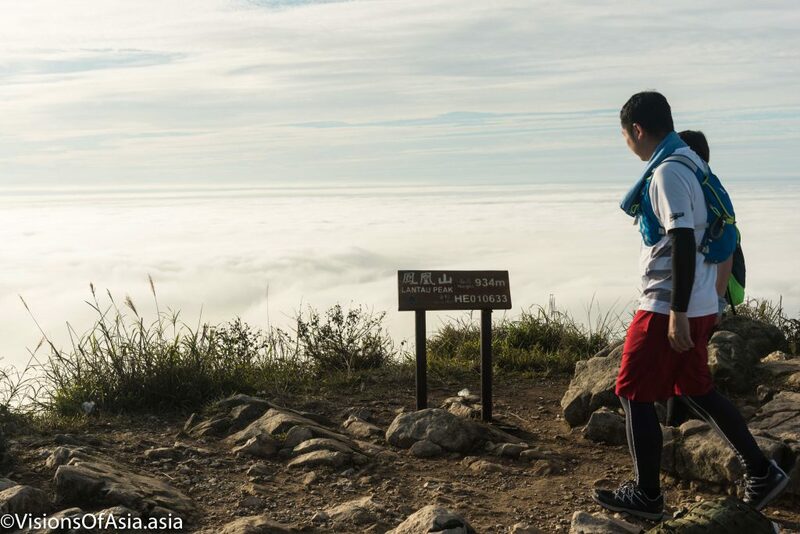 A hiker overlooks the sea of clouds. 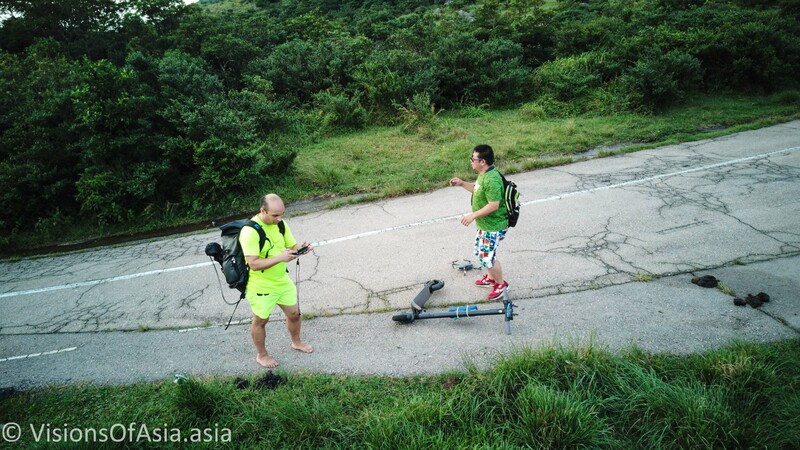 On the top of Lantau Peak, barefoot. 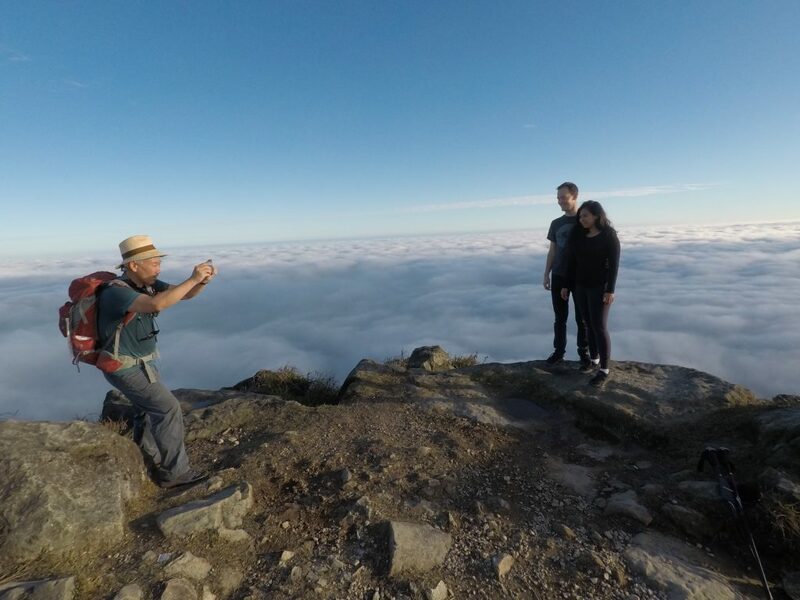 You can see Sunset peak in the background and the sea of clouds all around. 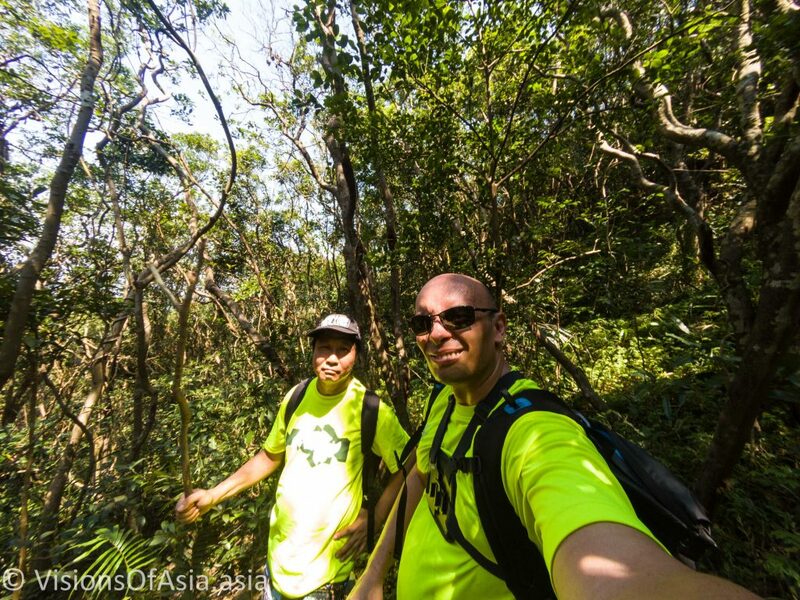 I asked another hiker to snap a pic of me before the distance marker of Lantau Peak. 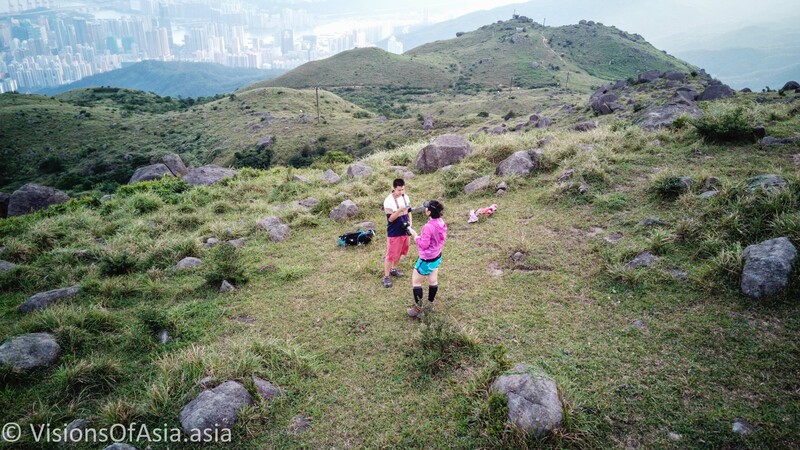 The first few meters down from Lantau Peak are quite impressive as you progress down an almost vertical flight of stairs which can certainly give fear of heights to people who are subject to it. 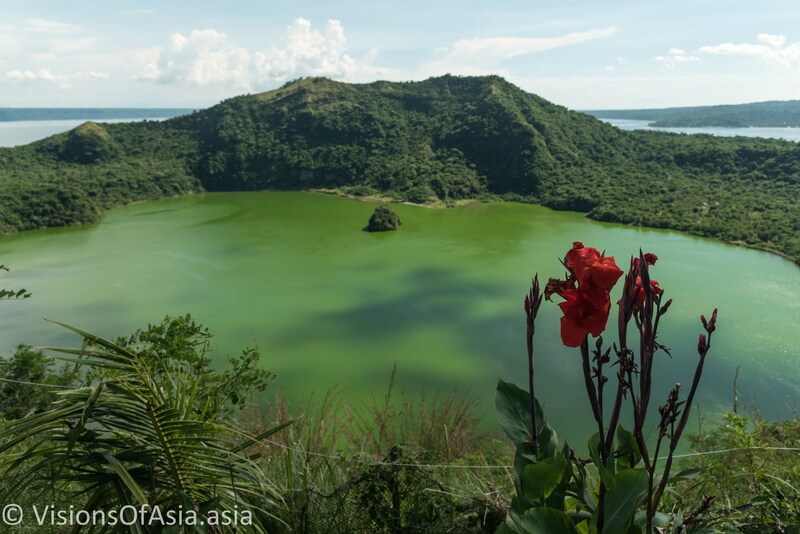 The views, however are just gorgeous, as you feel you are descending from heaven. 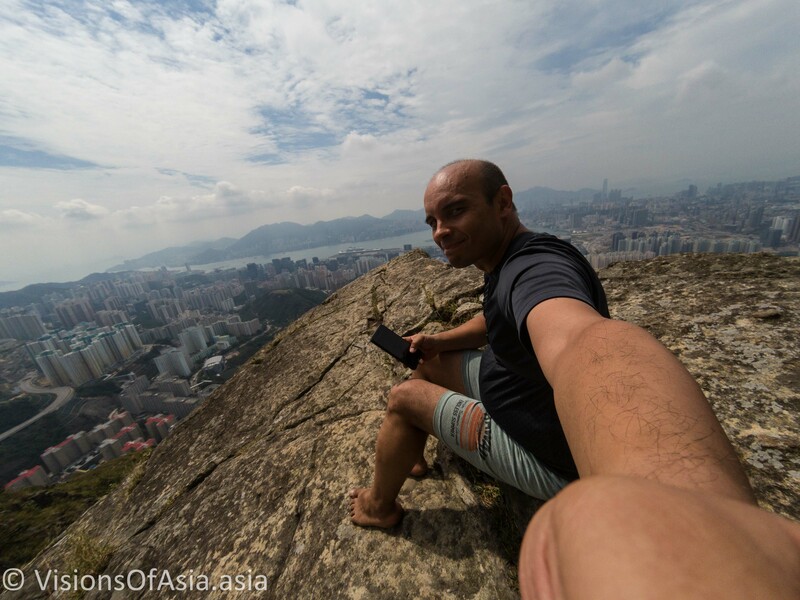 The vertiginous view on the stairs descending from Lantau peak. The stairs are nothing to write home about, on the way down. 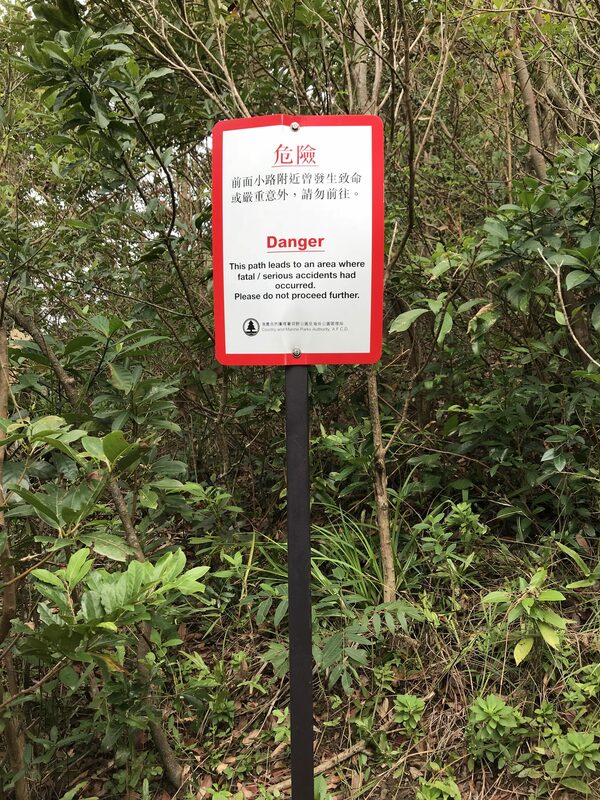 You must just be careful if they are humid as they might be slippery (especially when barefoot), but beyond that, although I was barefoot, I managed to reach Nong Ping before any of the other hikers who left the top at the same time as me. 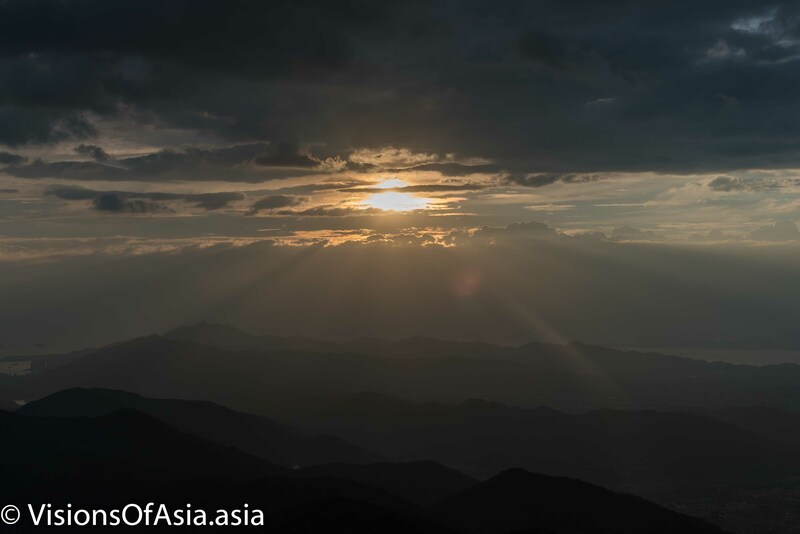 It was a bit difficult for me to maintain trace of my upward progression as I missed a number of the landmarks we had been through during the night hike. However, I managed to evaluate my (fast) progression on the way down, by recognizing a number of benches or other features along the way. What was missing most was the possibility of recognizing the wisdom path along the way. When I finally encountered it, it was shrouded in the fog, giving it an eery aspect. 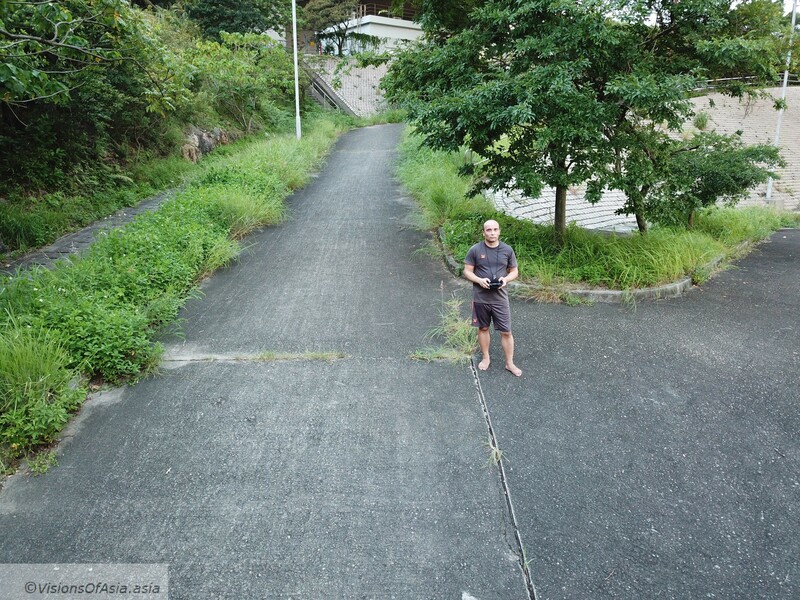 On the way, I checked the abandoned village near Nong Ping. In a previous post, I had mentioned about the creepy doll in one of the abandoned shops. It seems that since my last visit, some vandals broke the windows of that shop and stole the doll. 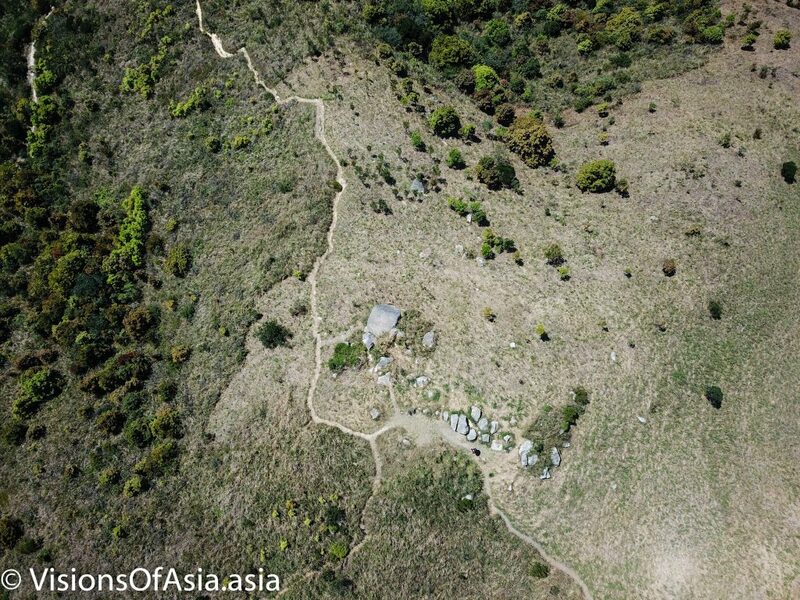 A pity, as she was one of the features to give a friendly face to this abandoned village. 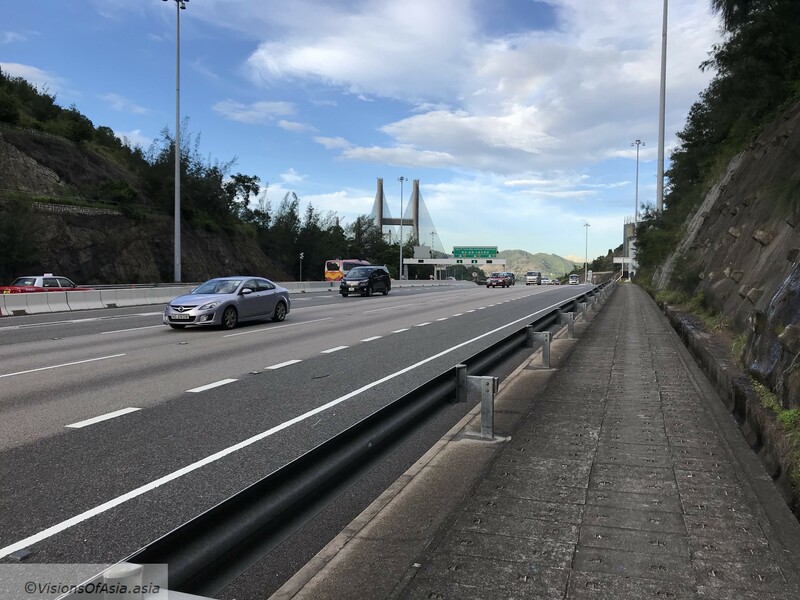 In Tung Chung, after catching one of the last buses from Nong Ping, I caught the E22 bus to take me home straight, without having to change 2x MTR. 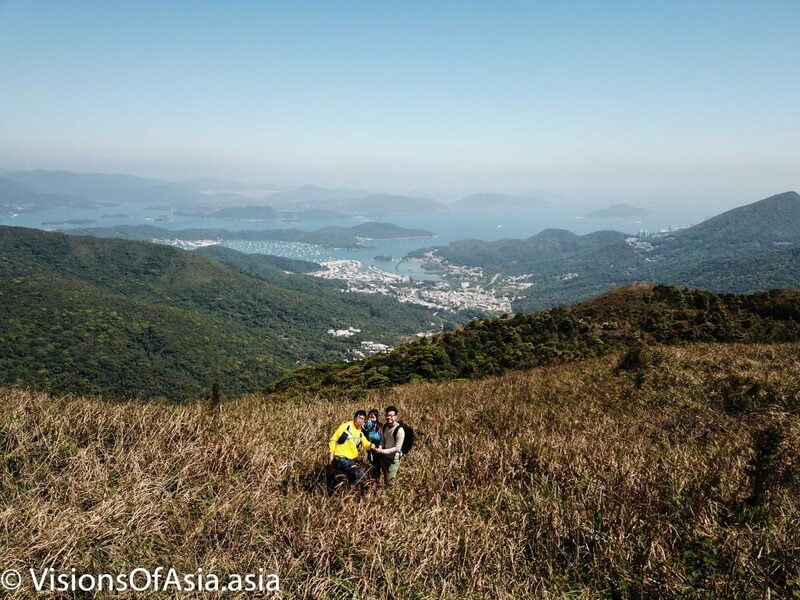 As a conclusion, the Lantau Peak hike, although grueling by the efforts required, is quite an easy hike, which can be easily done even by relatively inexperienced hikers due to the presence of stairs all along the path. 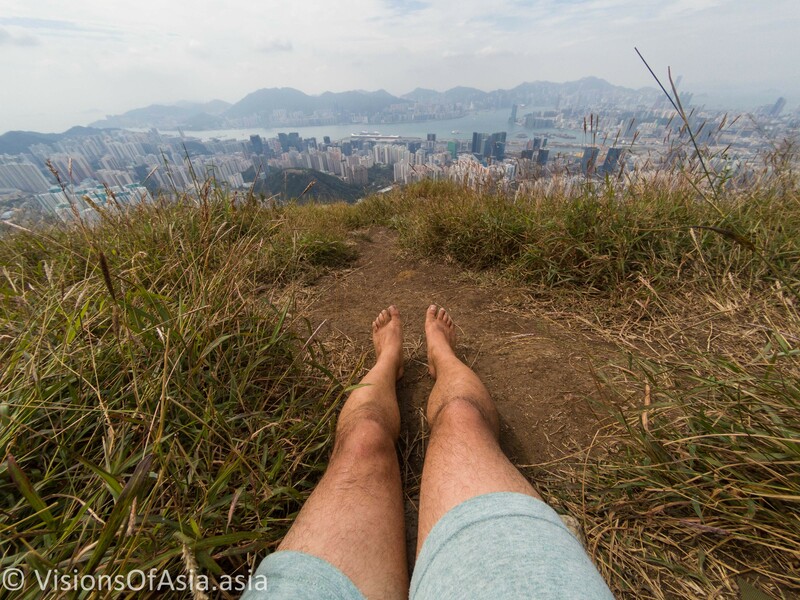 All the reactions of other hikers on the trail were admirative of barefoot hiking, so in general, hiking barefoot in Hong Kong is more of a subject of admiration. 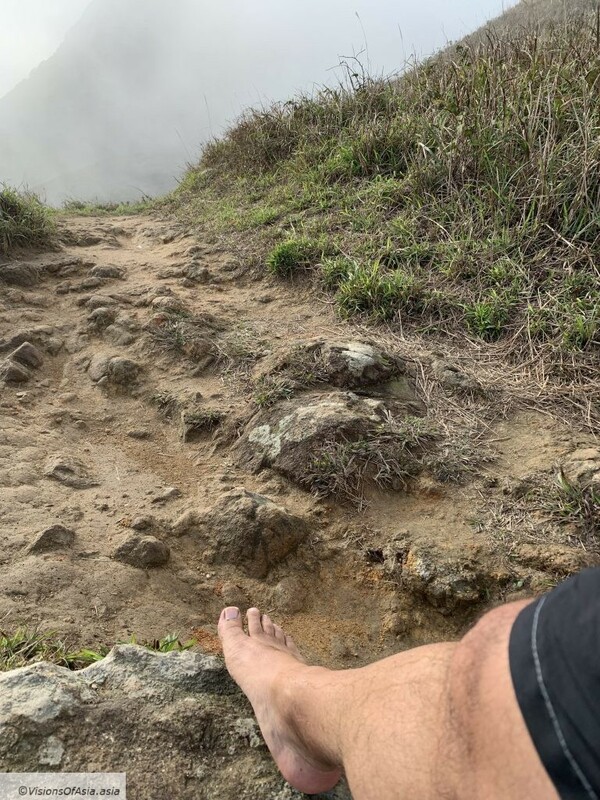 Barefooting on rough terrain commands even more admiration, as people cringe inwardly about the “pain” that could be a result. While the terrain commands a slower hiking approach than shod, at the end of the day, the legs feel wonderfully light after the hike is over. Just good muscular tiredness, with no exhaustion on the feet. 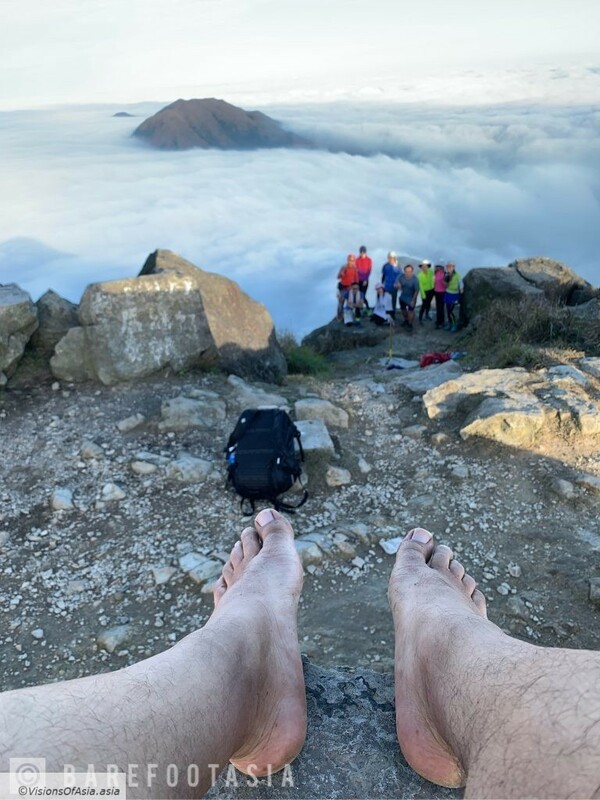 As a barefoot runner and hiker, visibility is also important in convincing others to take the first step towards this life-changing practice. Helsinki is a marvelous city, especially in spring or at the beginning of summer. 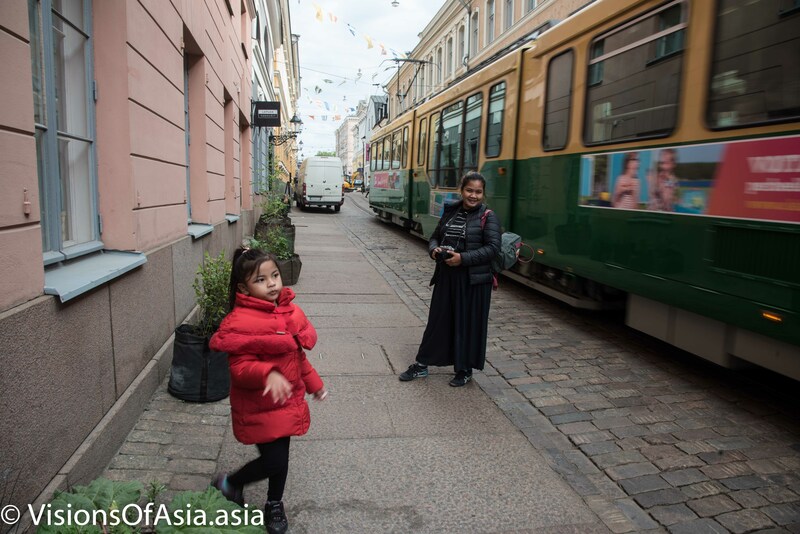 The daily life scenes are also interesting and surprising when walking through the Finnish capital. 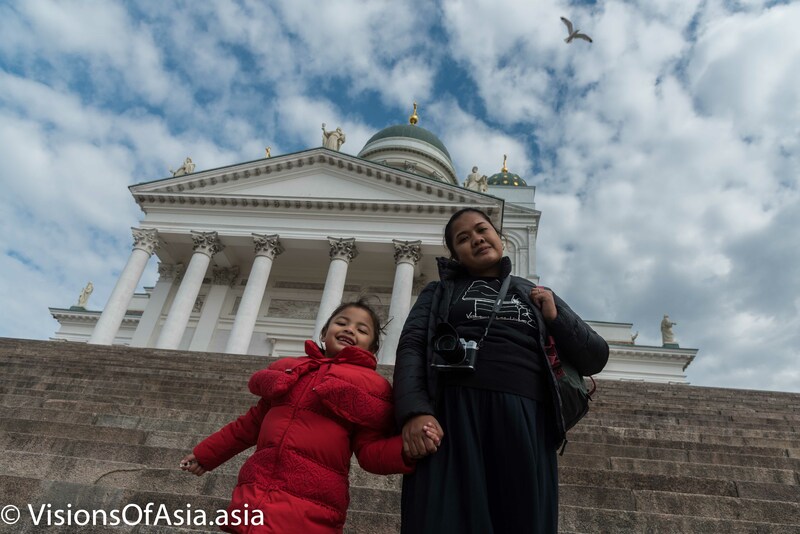 That’s why, doing street photography in Helsinki is a perfect experience. 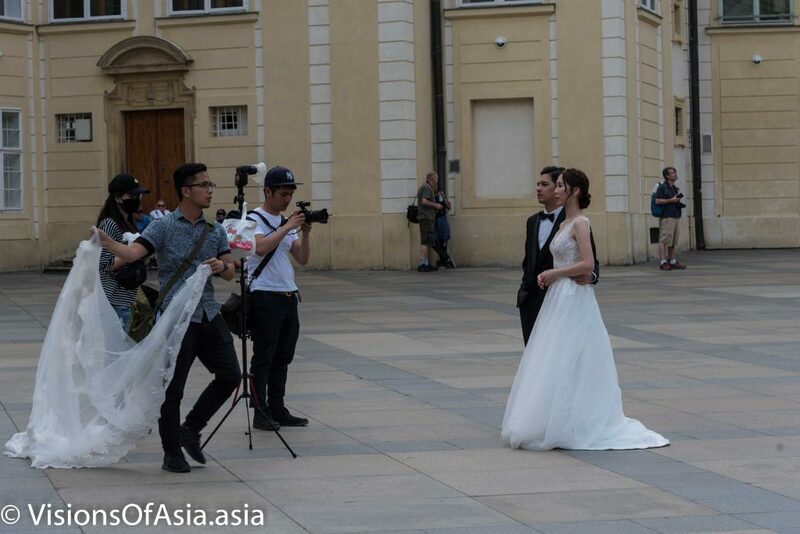 On the negative part, people are much more aware of cameras and photographers (as around Europe). Nevertheless, I never had any bad experience in Finland. Helsinki, despite being the capital of a European country also loves to take things on the slow side. As such, many scenes are perfect for panning shots. 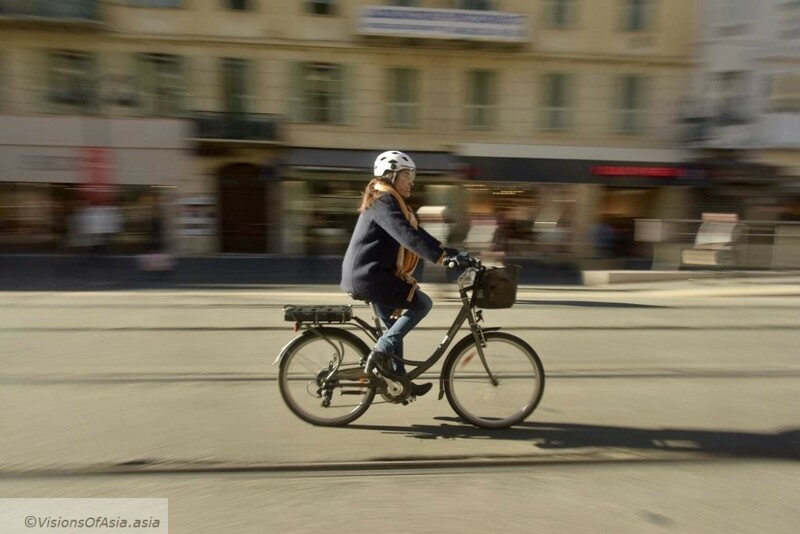 Many Finns love bicycle riding, and these make perfect subjects for panning shots. 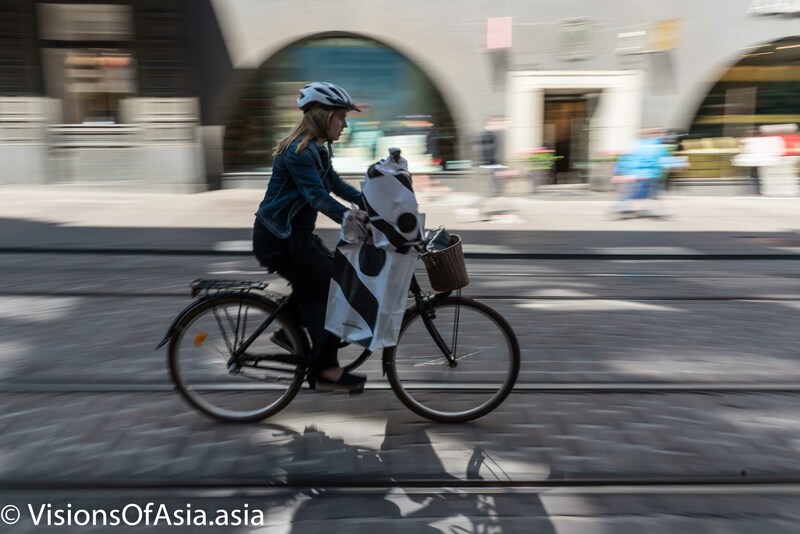 In this case, the lady was carrying shopping bags of Marimekko, which made it the perfect symbol of Finland. 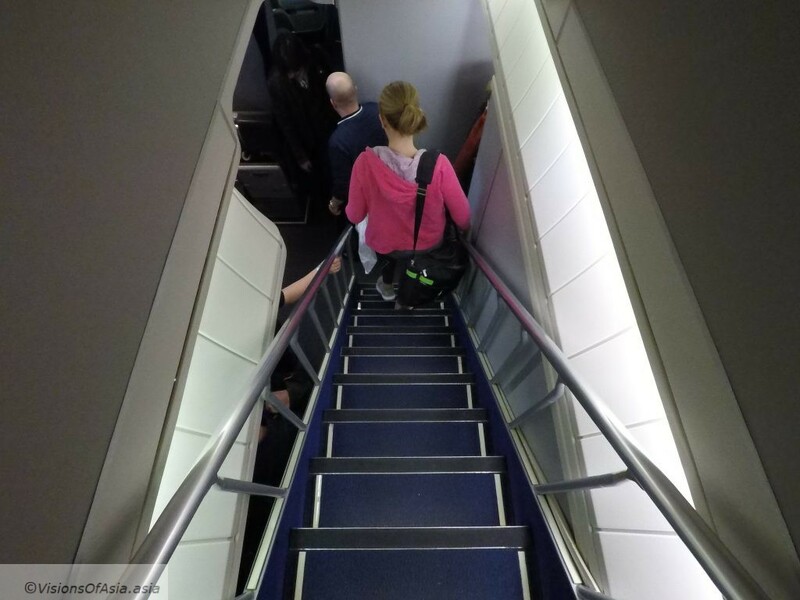 You can also try your hand at people walking, but in this case, people should be walking parallel to the plane of your camera. 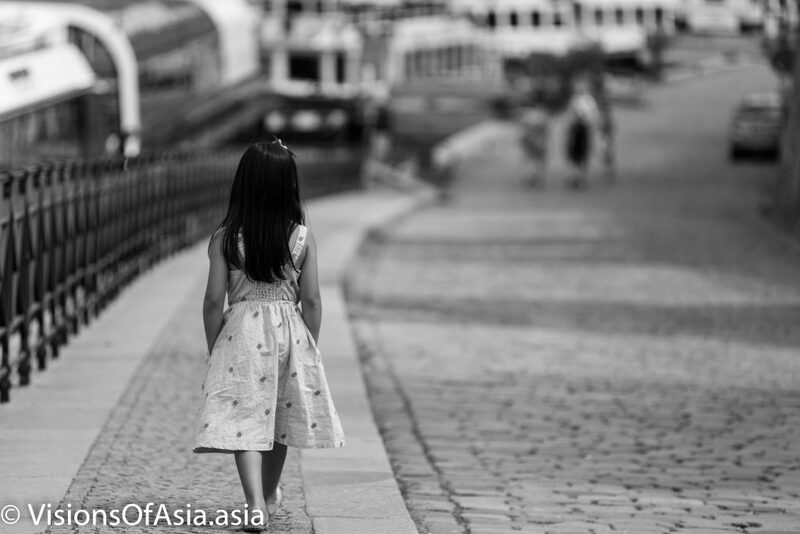 This allows to make street photography a bit more interesting by introducing a dynamic element in your pictures. On very rare occasions, you can come across the perfect scene, if you take the time to change your settings quickly. 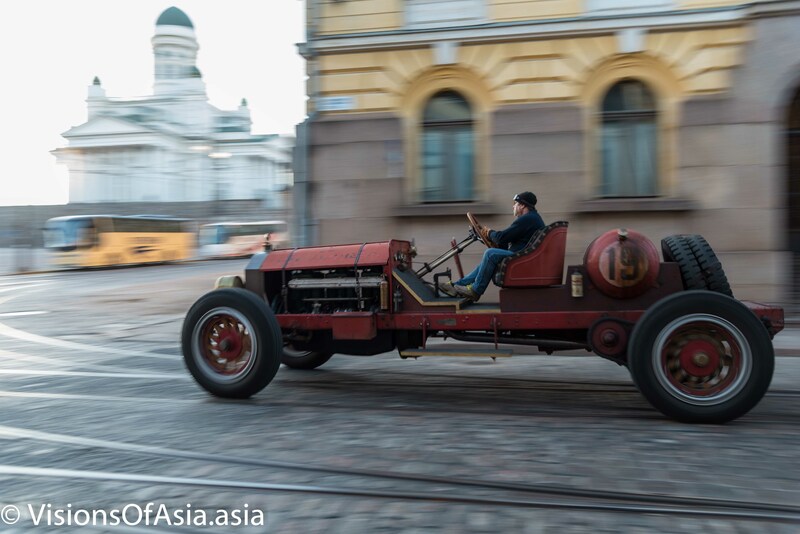 Like this old car which was roaring near to Tuomiokirkko square. I just had the time to switch to Tv (time priority mode) which was set up on 1/30s and catch the shot. As luck would have it, a piece of Tuomiokirkko showed up in the picture, hence providing the context. Another way of shooting street photography is of capturing street scenes. 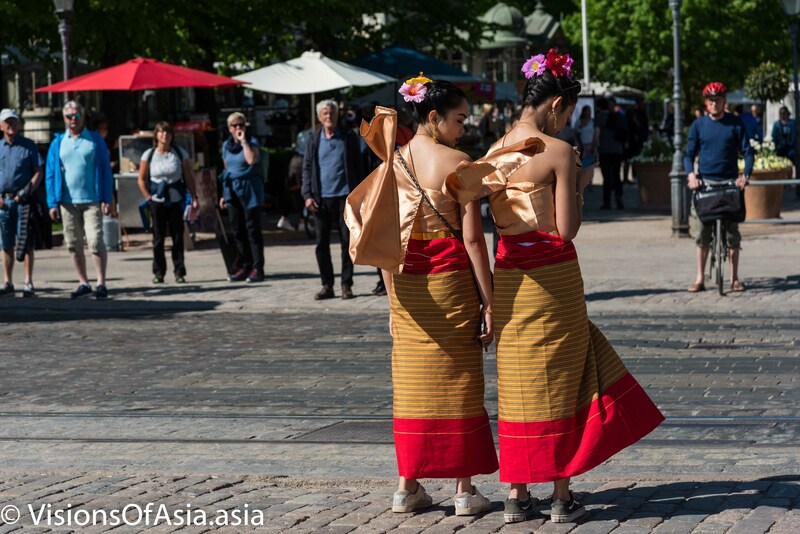 Sometimes, you can happen across some unexpected scenes, such as these two Thai girls near the Helsinki harbour. Looking around you, and having an eye for structure and leading lines can also give some interesting results. 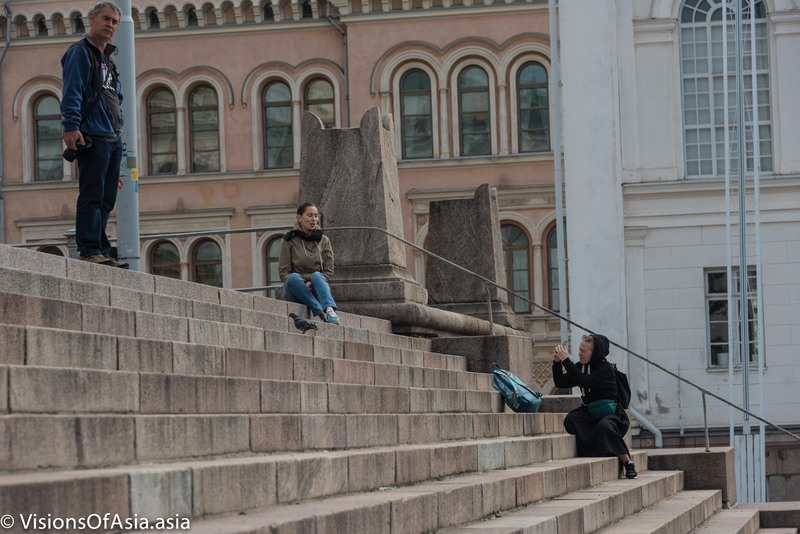 Like in this result, where two girls were taking their pic on the stairs of Tuomiokirkko. These shots are pretty easy to get, they just involve your paying attention to your surroundings. Then, if you have models around, you could also try some interesting shots. Like this pic, where Mitchy and Maria-Sophia were posing while a seagull took flight above their heads. On the street, you can also try to contrast fixed subjects and moving objects such as trams. Here a shot also near Tuomiokirkko. This technique allows to distinguish your subjects from the background, suggesting movement and also, at the same time, isolating the fixed subjects. If you want to try this technique in a crowd, which would work also nicely, you must try using a tripod to guarantee the lack of movement. Ideally, I would also deactivate the vibration reduction system on the lenses if any when using a tripod, otherwise, you will have micro-movement on your lens. 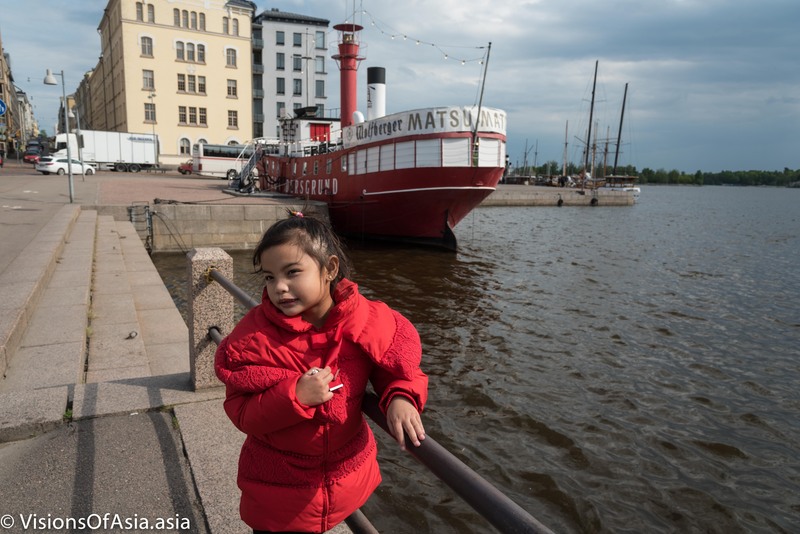 In short, Helsinki is rife with street photography opportunities. Just go out and shoot!